The following cryptocurrencies can be donated automatically to your charity of choice. Click the logo representing the crypto currency to be donated. From your currency App, scan the QR code appearing in the popup window, or use the public key. Complete the process using your currency App. Email us immediately (crypto@crypto2charities.org) to ensure proper distribution of funds. Please provide the amount (how much crypto currency), the anticipated value (in US dollars or your country's currency) and the name of the beneficiary, or the targeted purpose. If not specified, your donation will go to our donation pool, to be distributed to qualified beneficiaries. 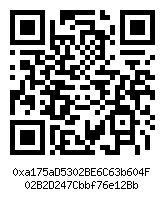 Use this QR code or key for your 0X cryptocurrency donation. 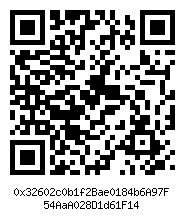 Use this QR code or key for your 2GIVE cryptocurrency donation. 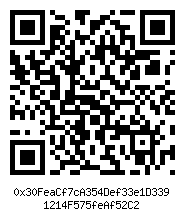 Use this QR code or key for your 300-TOKEN cryptocurrency donation. 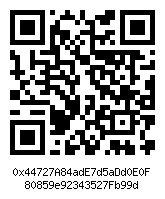 Use this QR code or key for your 42-COIN cryptocurrency donation. 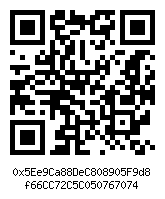 Use this QR code or key for your ACE cryptocurrency donation. 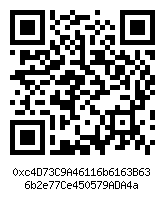 Use this QR code or key for your ACOIN cryptocurrency donation. 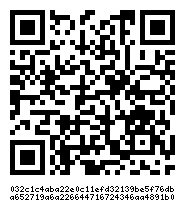 Use this QR code or key for your ADBANK cryptocurrency donation. 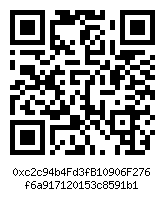 Use this QR code or key for your ADCOIN cryptocurrency donation. 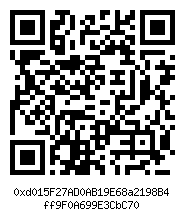 Use this QR code or key for your ADEX cryptocurrency donation. 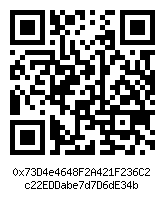 Use this QR code or key for your ADSHARES cryptocurrency donation. 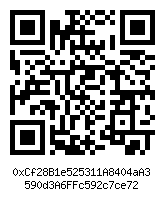 Use this QR code or key for your ADTOKEN cryptocurrency donation. 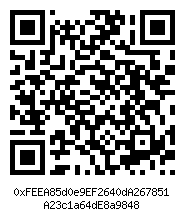 Use this QR code or key for your AELF cryptocurrency donation. 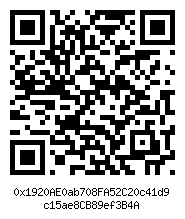 Use this QR code or key for your AERON cryptocurrency donation. 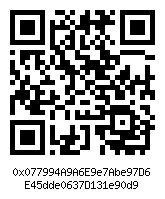 Use this QR code or key for your AETERNITY cryptocurrency donation. 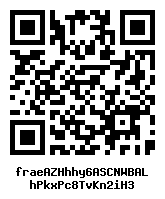 Use this QR code or key for your AGACOIN cryptocurrency donation. 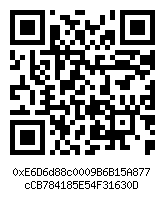 Use this QR code or key for your AGRELLO cryptocurrency donation. 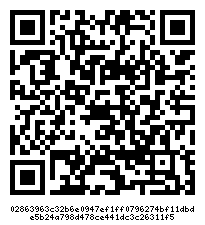 Use this QR code or key for your AI DOCTOR cryptocurrency donation. 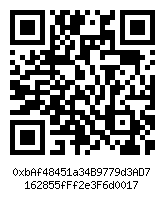 Use this QR code or key for your AICHAIN cryptocurrency donation. 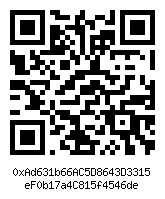 Use this QR code or key for your AIDCOIN cryptocurrency donation. 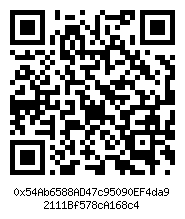 Use this QR code or key for your AIGANG cryptocurrency donation. 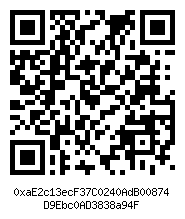 Use this QR code or key for your AION cryptocurrency donation. 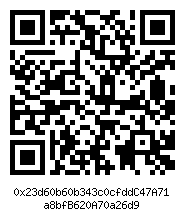 Use this QR code or key for your AIRSWAP cryptocurrency donation. 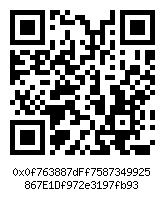 Use this QR code or key for your AIRTOKEN cryptocurrency donation. 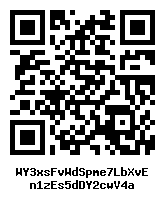 Use this QR code or key for your ALIS cryptocurrency donation. 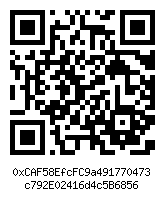 Use this QR code or key for your ALL SPORTS cryptocurrency donation. 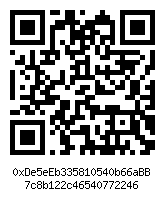 Use this QR code or key for your ALPHABIT cryptocurrency donation. 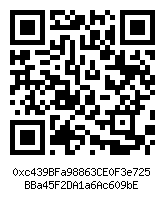 Use this QR code or key for your ALPHACOIN cryptocurrency donation. 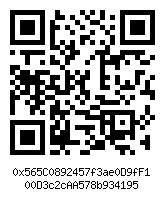 Use this QR code or key for your ALQO cryptocurrency donation. 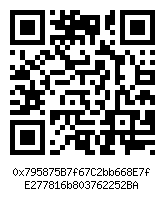 Use this QR code or key for your AMBER cryptocurrency donation. 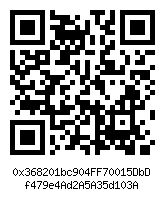 Use this QR code or key for your ANIMECOIN cryptocurrency donation. 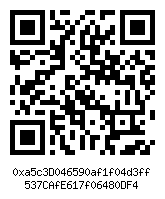 Use this QR code or key for your ANON cryptocurrency donation. 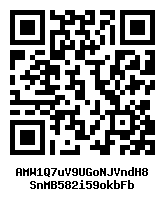 Use this QR code or key for your ANONCOIN cryptocurrency donation. 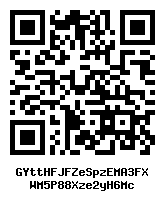 Use this QR code or key for your APEXCOIN cryptocurrency donation. 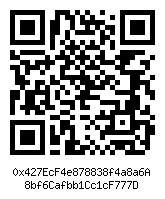 Use this QR code or key for your APPCOINS cryptocurrency donation. 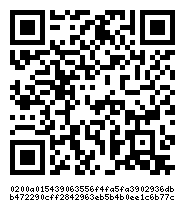 Use this QR code or key for your AQUARIUSCOIN cryptocurrency donation. Use this QR code or key for your ARAGON cryptocurrency donation. 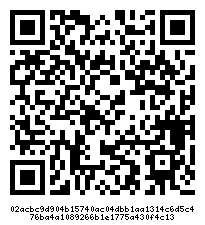 Use this QR code or key for your ARBITRAGECT cryptocurrency donation. 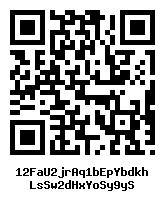 Use this QR code or key for your ARCADE TOKEN cryptocurrency donation. 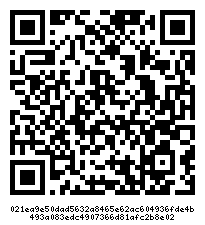 Use this QR code or key for your ARCBLOCK cryptocurrency donation. 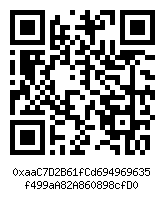 Use this QR code or key for your ARTAX cryptocurrency donation. 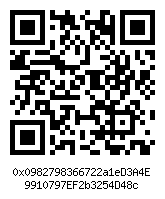 Use this QR code or key for your ASIACOIN cryptocurrency donation. 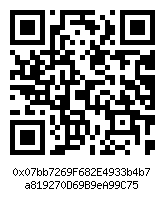 Use this QR code or key for your ASTRO cryptocurrency donation. 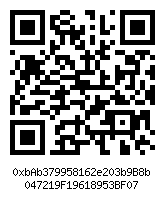 Use this QR code or key for your ATLANT cryptocurrency donation. 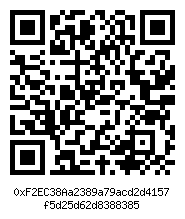 Use this QR code or key for your ATMCHAIN cryptocurrency donation. 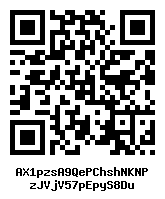 Use this QR code or key for your ATN cryptocurrency donation. 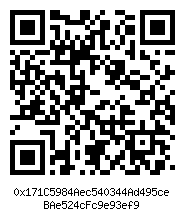 Use this QR code or key for your AUGUR cryptocurrency donation. 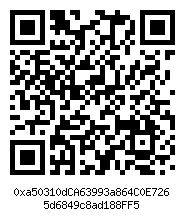 Use this QR code or key for your AURORA DAO cryptocurrency donation. 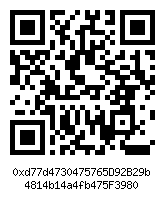 Use this QR code or key for your AURORACOIN cryptocurrency donation. 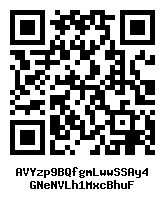 Use this QR code or key for your AUTHORSHIP cryptocurrency donation. 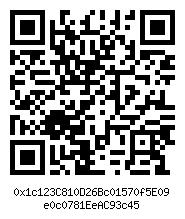 Use this QR code or key for your AUTONIO cryptocurrency donation. 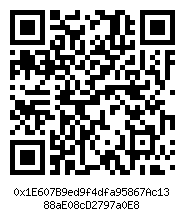 Use this QR code or key for your AVENTUS cryptocurrency donation. 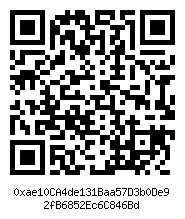 Use this QR code or key for your AXE cryptocurrency donation. 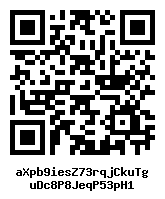 Use this QR code or key for your AXPIRE cryptocurrency donation. 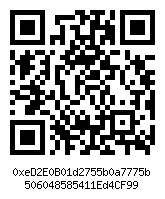 Use this QR code or key for your B2BX cryptocurrency donation. 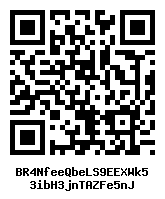 Use this QR code or key for your BANCOR cryptocurrency donation. 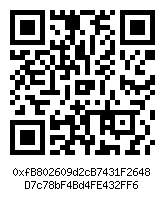 Use this QR code or key for your BANKEX cryptocurrency donation. 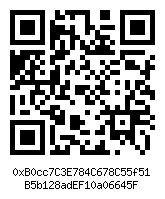 Use this QR code or key for your BATA cryptocurrency donation. 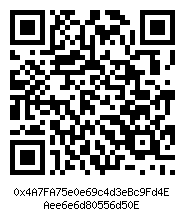 Use this QR code or key for your BBQCOIN cryptocurrency donation. 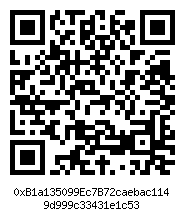 Use this QR code or key for your BCAP cryptocurrency donation. 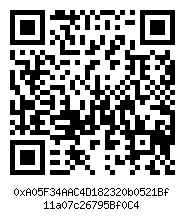 Use this QR code or key for your BEETLE COIN cryptocurrency donation. 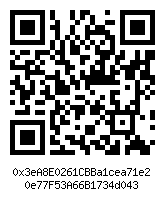 Use this QR code or key for your BELACOIN cryptocurrency donation. 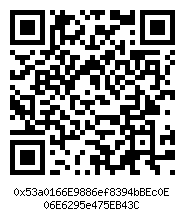 Use this QR code or key for your BEZOP cryptocurrency donation. 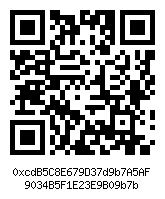 Use this QR code or key for your BIBLEPAY cryptocurrency donation. 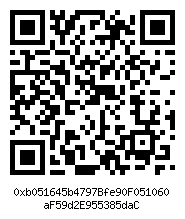 Use this QR code or key for your BIBOX TOKEN cryptocurrency donation. 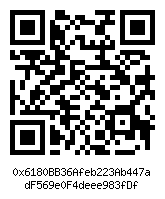 Use this QR code or key for your BIGONE TOKEN cryptocurrency donation. 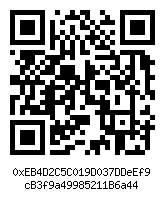 Use this QR code or key for your BINANCE COIN cryptocurrency donation. 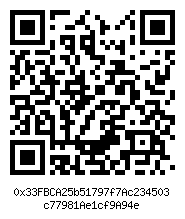 Use this QR code or key for your BIRDCOIN cryptocurrency donation. 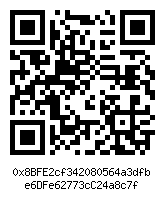 Use this QR code or key for your BITAIR cryptocurrency donation. 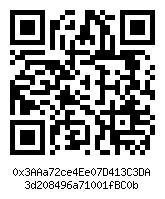 Use this QR code or key for your BITASEAN cryptocurrency donation. 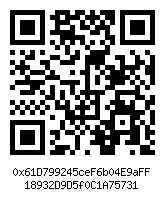 Use this QR code or key for your BITBOOST cryptocurrency donation. 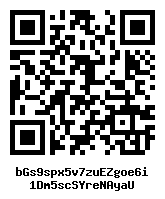 Use this QR code or key for your BITCLAVE cryptocurrency donation. 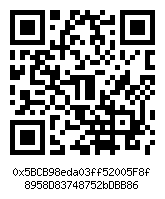 Use this QR code or key for your BITCLOUD cryptocurrency donation. 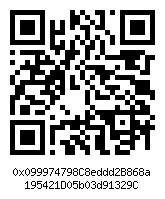 Use this QR code or key for your BITCOIN cryptocurrency donation. 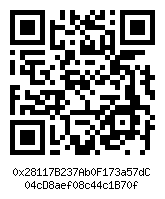 Use this QR code or key for your BITCOIN ATOM cryptocurrency donation. 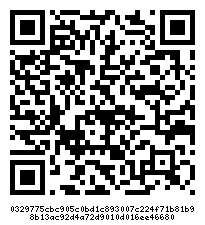 Use this QR code or key for your BITCOIN CASH cryptocurrency donation. 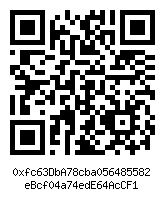 Use this QR code or key for your BITCOIN GOLD cryptocurrency donation. 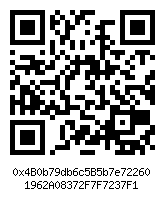 Use this QR code or key for your BITCOIN GREEN cryptocurrency donation. 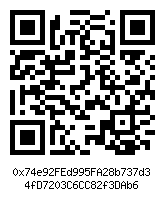 Use this QR code or key for your BITCOIN PRIVATE cryptocurrency donation. 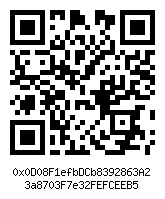 Use this QR code or key for your BITCOIN SILVER cryptocurrency donation. 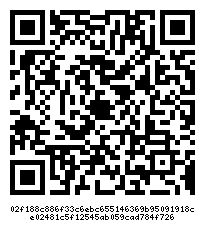 Use this QR code or key for your BITCOIN TESTNET cryptocurrency donation. 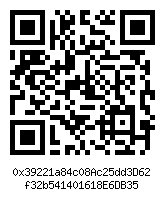 Use this QR code or key for your BITCOIN2X cryptocurrency donation. 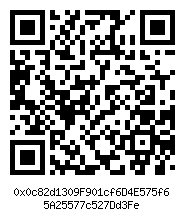 Use this QR code or key for your BITCOINCASH cryptocurrency donation. 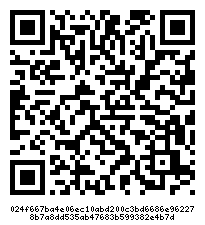 Use this QR code or key for your BITCOINDARK cryptocurrency donation. 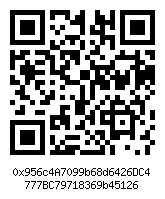 Use this QR code or key for your BITCOINGOLD cryptocurrency donation. 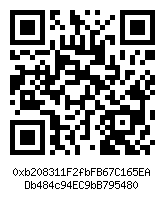 Use this QR code or key for your BITCOINPLUS cryptocurrency donation. 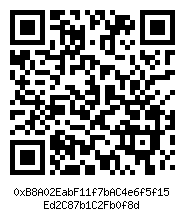 Use this QR code or key for your BITCOINZ cryptocurrency donation. 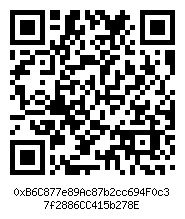 Use this QR code or key for your BITCONNECT cryptocurrency donation. 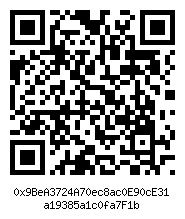 Use this QR code or key for your BITCORE cryptocurrency donation. 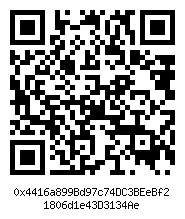 Use this QR code or key for your BITDEGREE cryptocurrency donation. 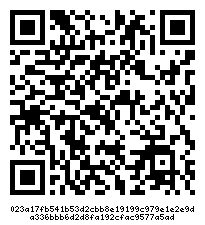 Use this QR code or key for your BITDICE cryptocurrency donation. 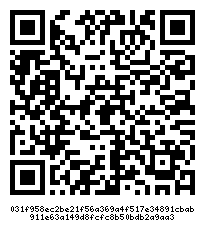 Use this QR code or key for your BITJOB cryptocurrency donation. 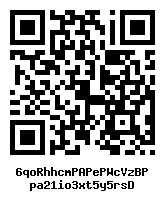 Use this QR code or key for your BITPARK COIN cryptocurrency donation. 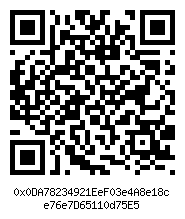 Use this QR code or key for your BITQY cryptocurrency donation. 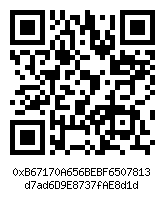 Use this QR code or key for your BITSEND cryptocurrency donation. 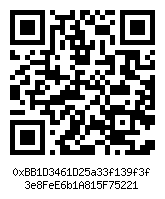 Use this QR code or key for your BITSERIAL cryptocurrency donation. 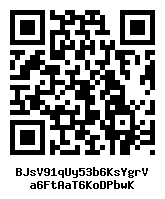 Use this QR code or key for your BITSYNQ cryptocurrency donation. 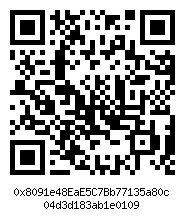 Use this QR code or key for your BITZENY cryptocurrency donation. 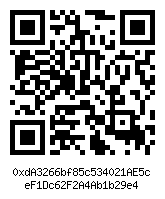 Use this QR code or key for your BLACKCOIN cryptocurrency donation. 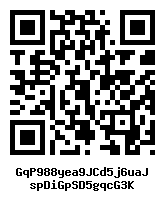 Use this QR code or key for your BLACKJACK cryptocurrency donation. 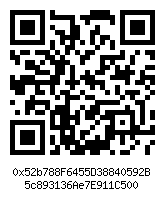 Use this QR code or key for your BLACKMOON cryptocurrency donation. 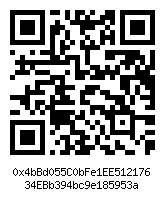 Use this QR code or key for your BLOCK ARRAY cryptocurrency donation. 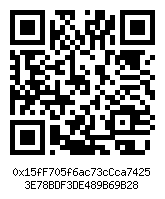 Use this QR code or key for your BLOCKCAT cryptocurrency donation. 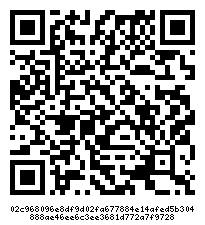 Use this QR code or key for your BLOCKCDN cryptocurrency donation. 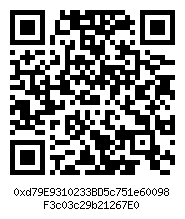 Use this QR code or key for your BLOCKCHAIN INDEX cryptocurrency donation. 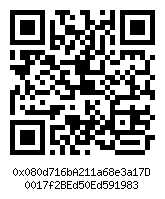 Use this QR code or key for your BLOCKNET cryptocurrency donation. 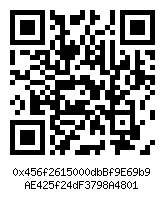 Use this QR code or key for your BLOCKPORT cryptocurrency donation. 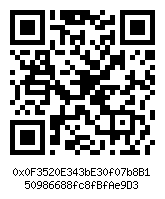 Use this QR code or key for your BLOCKTIX cryptocurrency donation. 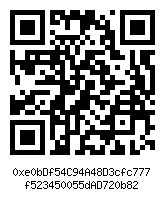 Use this QR code or key for your BLOCKV cryptocurrency donation. 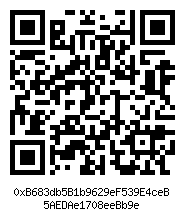 Use this QR code or key for your BLOOM cryptocurrency donation. 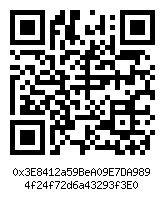 Use this QR code or key for your BLUE PROTOCOL cryptocurrency donation. 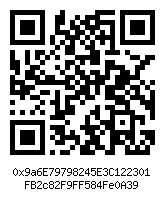 Use this QR code or key for your BLUZELLE cryptocurrency donation. 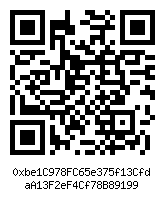 Use this QR code or key for your BOLENUM cryptocurrency donation. 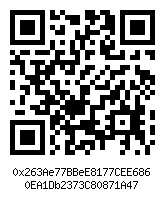 Use this QR code or key for your BOLIVARCOIN cryptocurrency donation. 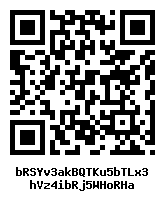 Use this QR code or key for your BONPAY cryptocurrency donation. 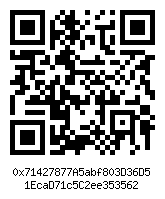 Use this QR code or key for your BOTTOS cryptocurrency donation. 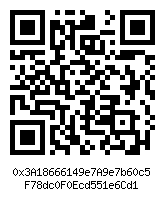 Use this QR code or key for your BOUNTY0X cryptocurrency donation. 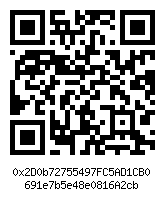 Use this QR code or key for your BOXYCOIN cryptocurrency donation. 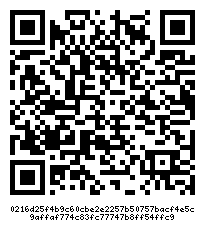 Use this QR code or key for your BRAT cryptocurrency donation. 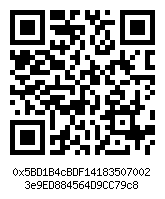 Use this QR code or key for your BREAD cryptocurrency donation. 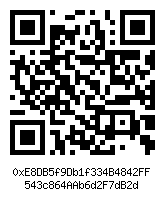 Use this QR code or key for your BRITCOIN cryptocurrency donation. 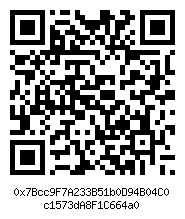 Use this QR code or key for your BTCMOON cryptocurrency donation. 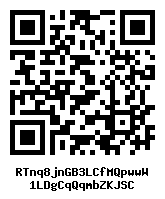 Use this QR code or key for your BUNNYCOIN cryptocurrency donation. 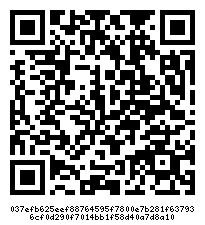 Use this QR code or key for your BYTOM cryptocurrency donation. 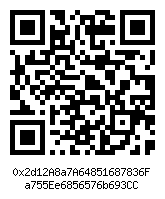 Use this QR code or key for your C2COIN cryptocurrency donation. 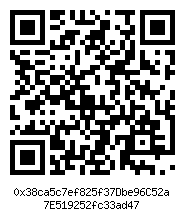 Use this QR code or key for your CAGECOIN cryptocurrency donation. 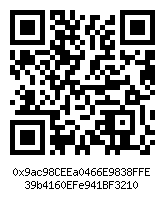 Use this QR code or key for your CALLISTO cryptocurrency donation. 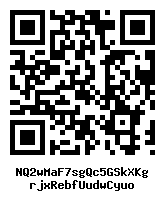 Use this QR code or key for your CAMPUSCOIN cryptocurrency donation. 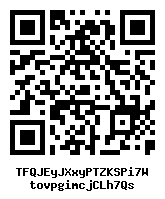 Use this QR code or key for your CANADAECOIN cryptocurrency donation. 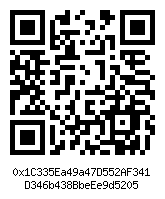 Use this QR code or key for your CANDY cryptocurrency donation. 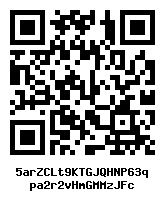 Use this QR code or key for your CANNABISCOIN cryptocurrency donation. 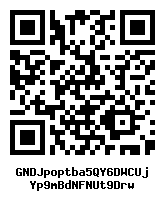 Use this QR code or key for your CANNACOIN cryptocurrency donation. 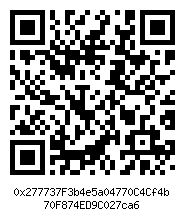 Use this QR code or key for your CANYACOIN cryptocurrency donation. 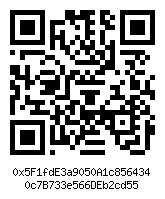 Use this QR code or key for your CAPPASITY cryptocurrency donation. 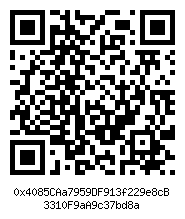 Use this QR code or key for your CAPRICOIN cryptocurrency donation. 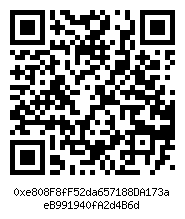 Use this QR code or key for your CARGOX cryptocurrency donation. 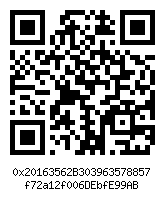 Use this QR code or key for your CARTAXI TOKEN cryptocurrency donation. 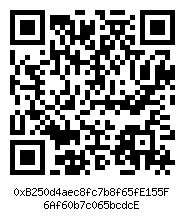 Use this QR code or key for your CARVERTICAL cryptocurrency donation. 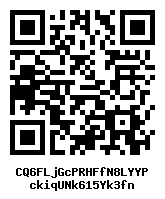 Use this QR code or key for your CASH POKER PRO cryptocurrency donation. 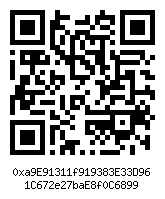 Use this QR code or key for your CASHAA cryptocurrency donation. 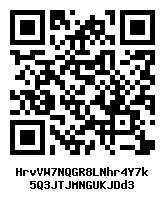 Use this QR code or key for your CASHCOIN cryptocurrency donation. 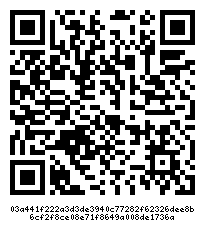 Use this QR code or key for your CASSUBIANDETK cryptocurrency donation. 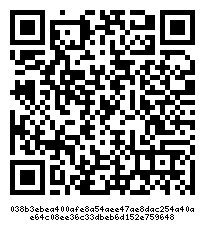 Use this QR code or key for your CATCOIN cryptocurrency donation. 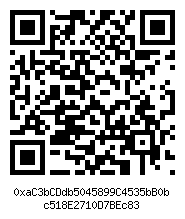 Use this QR code or key for your CCORE cryptocurrency donation. 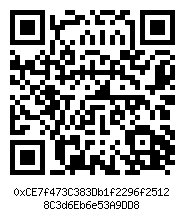 Use this QR code or key for your CENTRA cryptocurrency donation. 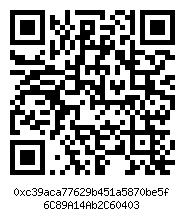 Use this QR code or key for your CHAINCOIN cryptocurrency donation. 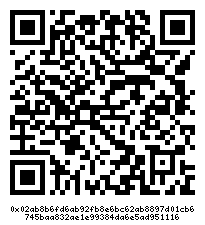 Use this QR code or key for your CHAINLINK cryptocurrency donation. 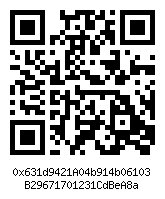 Use this QR code or key for your CHANGE cryptocurrency donation. 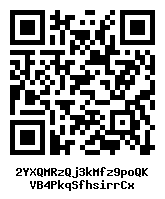 Use this QR code or key for your CHRONOBANK cryptocurrency donation. 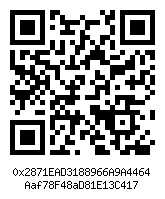 Use this QR code or key for your CHRONOLOGIC cryptocurrency donation. 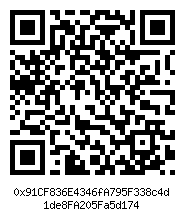 Use this QR code or key for your CINDICATOR cryptocurrency donation. 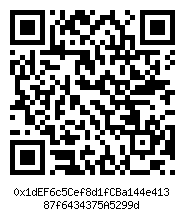 Use this QR code or key for your CIVIC cryptocurrency donation. 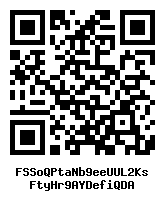 Use this QR code or key for your CLAMS cryptocurrency donation. 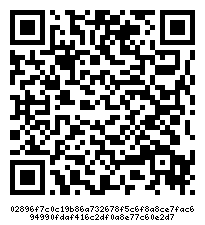 Use this QR code or key for your CLEARPOLL cryptocurrency donation. 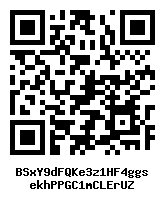 Use this QR code or key for your CLOUD cryptocurrency donation. 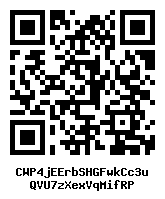 Use this QR code or key for your CLUBCOIN cryptocurrency donation. 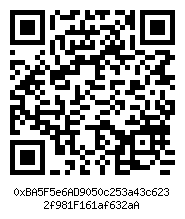 Use this QR code or key for your COBINHOOD cryptocurrency donation. 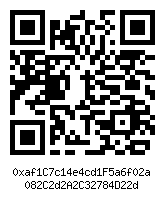 Use this QR code or key for your COFOUND.IT cryptocurrency donation. 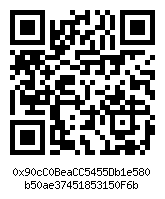 Use this QR code or key for your COIMATIC 3.0 cryptocurrency donation. 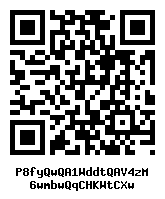 Use this QR code or key for your COIN DASH cryptocurrency donation. 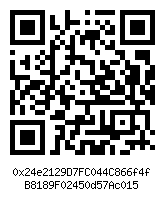 Use this QR code or key for your COINFI cryptocurrency donation. 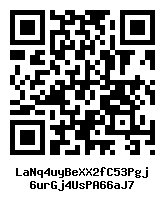 Use this QR code or key for your COINLANCER cryptocurrency donation. 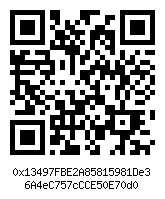 Use this QR code or key for your COINMEET cryptocurrency donation. 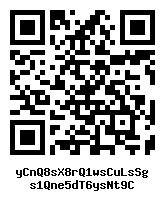 Use this QR code or key for your COLOSSUSCOINXT cryptocurrency donation. 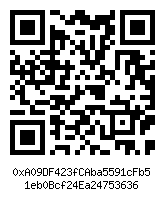 Use this QR code or key for your COMPCOIN cryptocurrency donation. 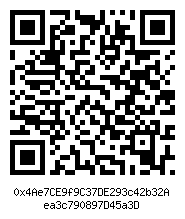 Use this QR code or key for your COMSA [ETH] cryptocurrency donation. 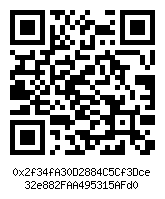 Use this QR code or key for your CONDENSATE cryptocurrency donation. 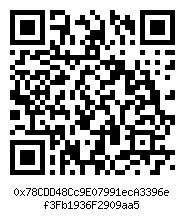 Use this QR code or key for your COPICO cryptocurrency donation. 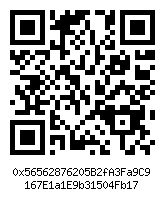 Use this QR code or key for your COPPERCOIN cryptocurrency donation. 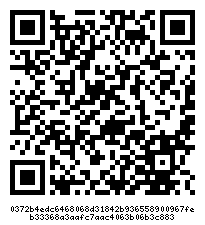 Use this QR code or key for your COPYTRACK cryptocurrency donation. 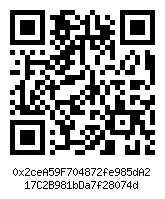 Use this QR code or key for your CORETHUM cryptocurrency donation. 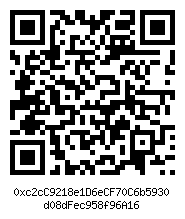 Use this QR code or key for your CORGICOIN cryptocurrency donation. 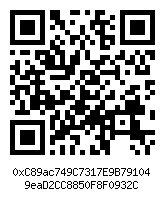 Use this QR code or key for your COSS cryptocurrency donation. 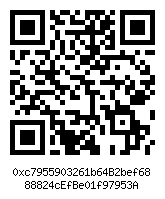 Use this QR code or key for your COVESTING cryptocurrency donation. 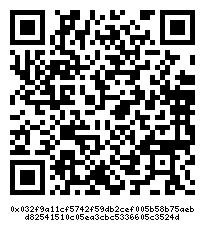 Use this QR code or key for your CPCHAIN cryptocurrency donation. 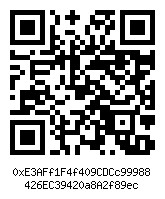 Use this QR code or key for your CRAVE cryptocurrency donation. 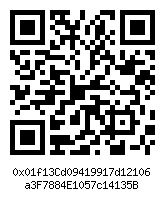 Use this QR code or key for your CREDITBIT cryptocurrency donation. 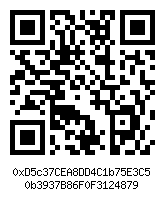 Use this QR code or key for your CREDO cryptocurrency donation. 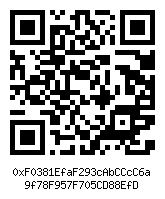 Use this QR code or key for your CROWN cryptocurrency donation. 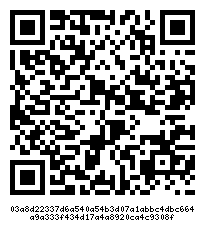 Use this QR code or key for your CRYPTERIUM cryptocurrency donation. 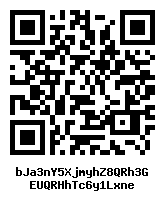 Use this QR code or key for your CRYPTO INSIGHT cryptocurrency donation. 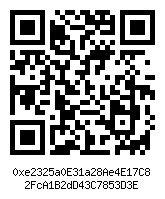 Use this QR code or key for your CRYPTO20 cryptocurrency donation. 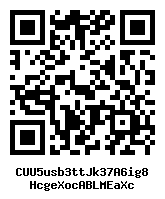 Use this QR code or key for your CRYPTOBULLION cryptocurrency donation. 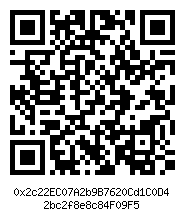 Use this QR code or key for your CRYPTOCLUB cryptocurrency donation. 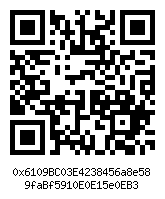 Use this QR code or key for your CRYPTOESCUDO cryptocurrency donation. 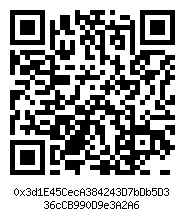 Use this QR code or key for your CRYPTONITE cryptocurrency donation. 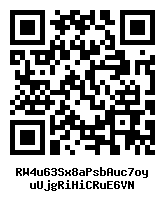 Use this QR code or key for your CRYPTOPAY cryptocurrency donation. 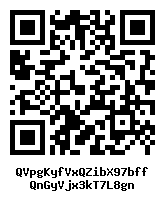 Use this QR code or key for your CRYPTOWISDOMCOIN cryptocurrency donation. 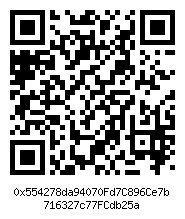 Use this QR code or key for your CRYSTAL CLEAR cryptocurrency donation. 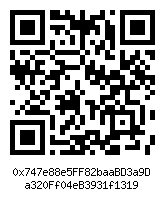 Use this QR code or key for your CYBERMILES cryptocurrency donation. 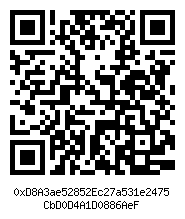 Use this QR code or key for your DADI cryptocurrency donation. 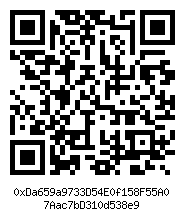 Use this QR code or key for your DAI cryptocurrency donation. 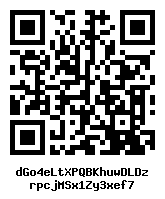 Use this QR code or key for your DALECOIN cryptocurrency donation. 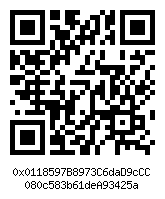 Use this QR code or key for your DAO.CASINO cryptocurrency donation. 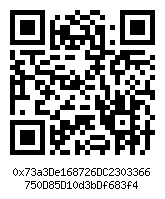 Use this QR code or key for your DASH cryptocurrency donation. 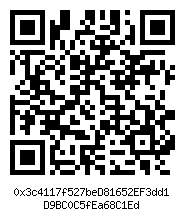 Use this QR code or key for your DASH TESTNET cryptocurrency donation. 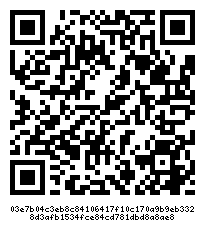 Use this QR code or key for your DATA cryptocurrency donation. 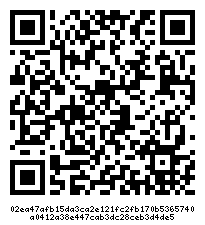 Use this QR code or key for your DATAWALLET cryptocurrency donation. 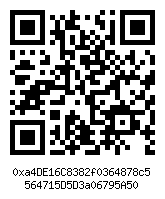 Use this QR code or key for your DATUM cryptocurrency donation. 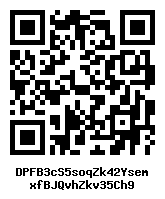 Use this QR code or key for your DEAFDOLLARS cryptocurrency donation. 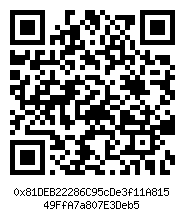 Use this QR code or key for your DECENTBET cryptocurrency donation. 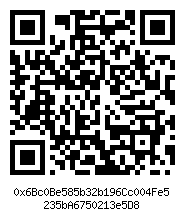 Use this QR code or key for your DECENTRALAND cryptocurrency donation. 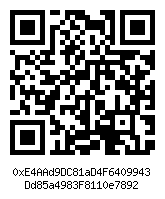 Use this QR code or key for your DECISION TOKEN cryptocurrency donation. 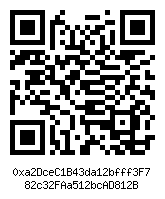 Use this QR code or key for your DEEPONION cryptocurrency donation. 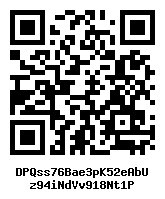 Use this QR code or key for your DELPHY cryptocurrency donation. 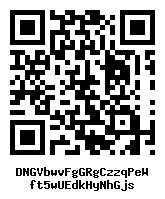 Use this QR code or key for your DENARIUS cryptocurrency donation. 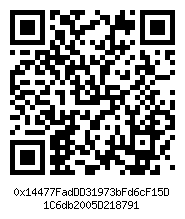 Use this QR code or key for your DENT cryptocurrency donation. 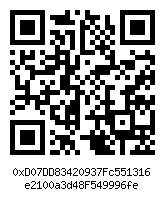 Use this QR code or key for your DENTACOIN cryptocurrency donation. 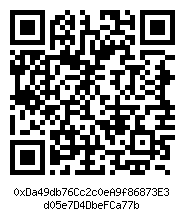 Use this QR code or key for your DETHER cryptocurrency donation. 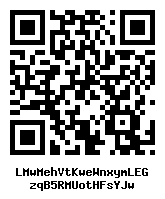 Use this QR code or key for your DEUTSCHE EMARK cryptocurrency donation. 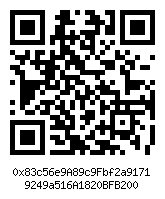 Use this QR code or key for your DEVCOIN cryptocurrency donation. 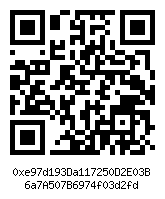 Use this QR code or key for your DEVERY cryptocurrency donation. 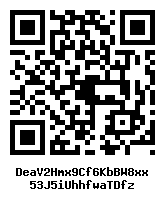 Use this QR code or key for your DEW cryptocurrency donation. 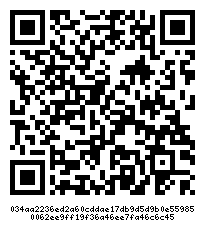 Use this QR code or key for your DIAMOND cryptocurrency donation. 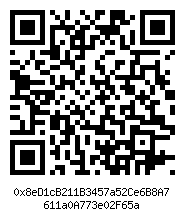 Use this QR code or key for your DIGIBYTE cryptocurrency donation. Use this QR code or key for your DIGIPULSE cryptocurrency donation. 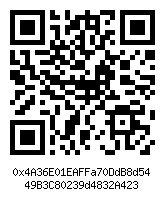 Use this QR code or key for your DIGITALCOIN cryptocurrency donation. 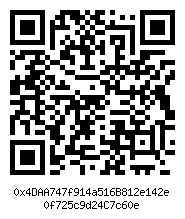 Use this QR code or key for your DIGIXDAO cryptocurrency donation. 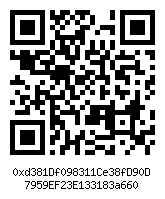 Use this QR code or key for your DIMECOIN cryptocurrency donation. 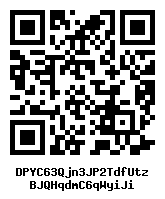 Use this QR code or key for your DIMONCOIN cryptocurrency donation. 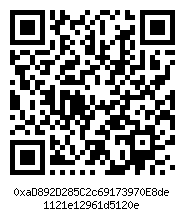 Use this QR code or key for your DISTRICT0X cryptocurrency donation. 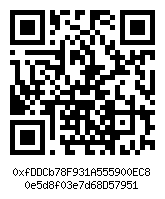 Use this QR code or key for your DIVI cryptocurrency donation. 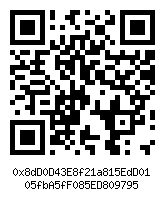 Use this QR code or key for your DMARKET cryptocurrency donation. 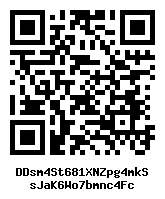 Use this QR code or key for your DNOTES cryptocurrency donation. 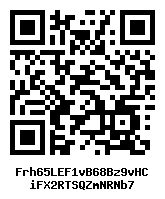 Use this QR code or key for your DOGECOIN cryptocurrency donation. 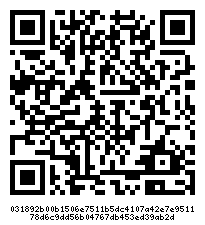 Use this QR code or key for your DOGECOINDARK cryptocurrency donation. 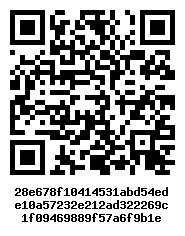 Use this QR code or key for your DOMRAIDER cryptocurrency donation. 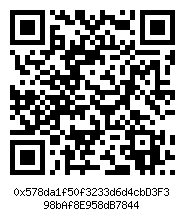 Use this QR code or key for your DOVU cryptocurrency donation. 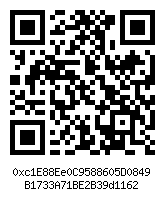 Use this QR code or key for your DRAGONCHAIN cryptocurrency donation. 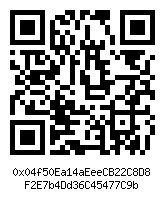 Use this QR code or key for your E4ROW cryptocurrency donation. 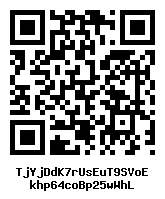 Use this QR code or key for your EAGLECOIN cryptocurrency donation. 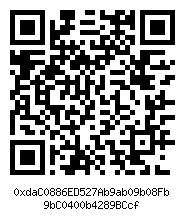 Use this QR code or key for your EBIT cryptocurrency donation. 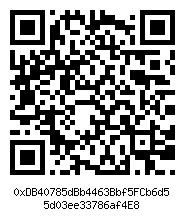 Use this QR code or key for your EBITCOIN cryptocurrency donation. 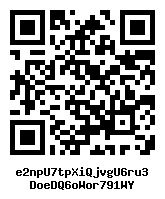 Use this QR code or key for your ECHOLINK cryptocurrency donation. 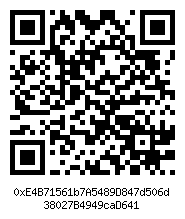 Use this QR code or key for your E-COIN cryptocurrency donation. 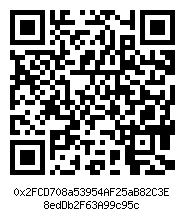 Use this QR code or key for your EDGELESS cryptocurrency donation. 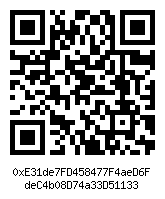 Use this QR code or key for your EDRCOIN cryptocurrency donation. 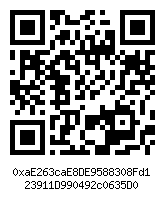 Use this QR code or key for your EDUCARE cryptocurrency donation. 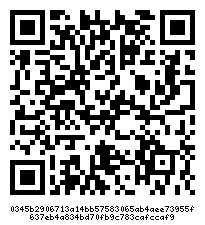 Use this QR code or key for your EGOLD cryptocurrency donation. 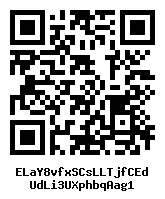 Use this QR code or key for your EGULDEN cryptocurrency donation. 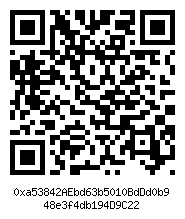 Use this QR code or key for your EIDOO cryptocurrency donation. 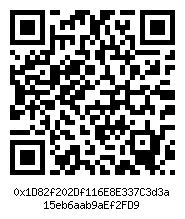 Use this QR code or key for your EINSTEINIUM cryptocurrency donation. 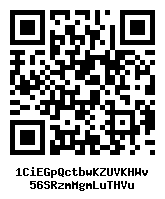 Use this QR code or key for your EKRONA cryptocurrency donation. 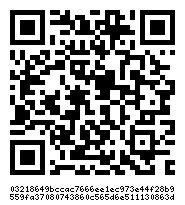 Use this QR code or key for your ELECTRA cryptocurrency donation. 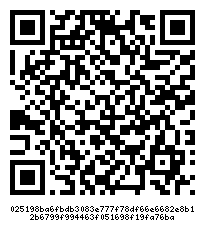 Use this QR code or key for your ELIXIR cryptocurrency donation. 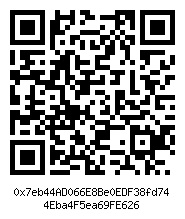 Use this QR code or key for your EMBER cryptocurrency donation. 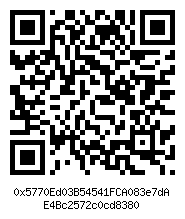 Use this QR code or key for your EMBERS cryptocurrency donation. 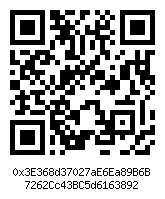 Use this QR code or key for your EMERALD cryptocurrency donation. 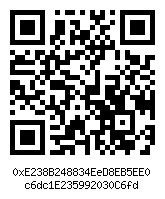 Use this QR code or key for your EMERCOIN cryptocurrency donation. 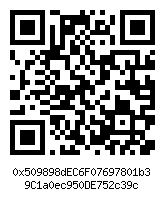 Use this QR code or key for your EMPHY cryptocurrency donation. 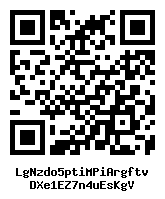 Use this QR code or key for your ENCRYPGEN cryptocurrency donation. 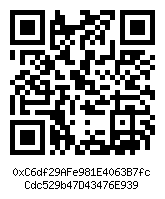 Use this QR code or key for your ENERGI cryptocurrency donation. 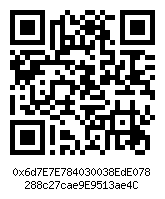 Use this QR code or key for your ENERGO cryptocurrency donation. 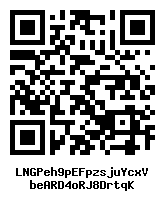 Use this QR code or key for your ENERGYCOIN cryptocurrency donation. 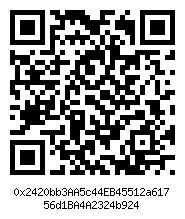 Use this QR code or key for your ENIGMA cryptocurrency donation. 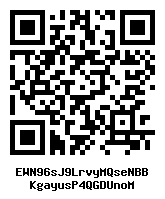 Use this QR code or key for your ENJIN COIN cryptocurrency donation. Use this QR code or key for your ENVION cryptocurrency donation. 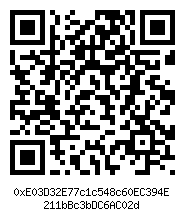 Use this QR code or key for your EOS cryptocurrency donation. 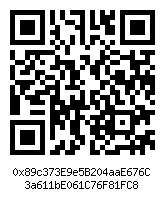 Use this QR code or key for your EQUAL cryptocurrency donation. 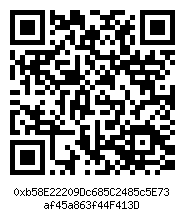 Use this QR code or key for your ERC20 cryptocurrency donation. 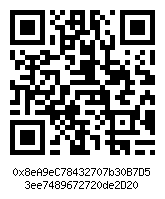 Use this QR code or key for your EREAL cryptocurrency donation. 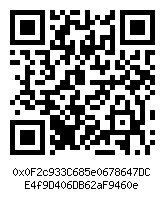 Use this QR code or key for your EROSCOIN cryptocurrency donation. 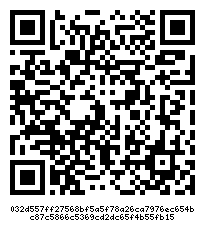 Use this QR code or key for your ESPERS cryptocurrency donation. 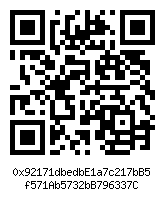 Use this QR code or key for your ETHBET cryptocurrency donation. 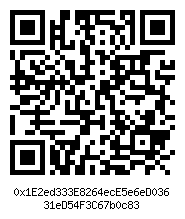 Use this QR code or key for your ETHBITS cryptocurrency donation. 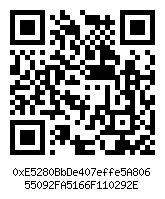 Use this QR code or key for your ETHERDELTA TOKEN cryptocurrency donation. 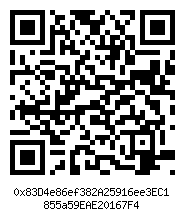 Use this QR code or key for your ETHERECASH cryptocurrency donation. 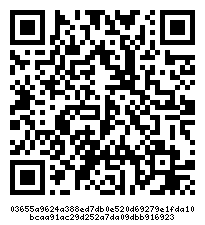 Use this QR code or key for your ETHEREUM cryptocurrency donation. 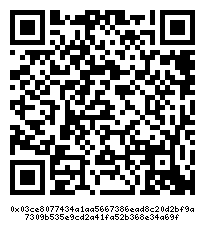 Use this QR code or key for your ETHEREUM CASH cryptocurrency donation. 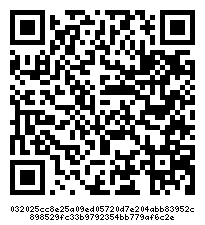 Use this QR code or key for your ETHEREUM CLASSIC cryptocurrency donation. 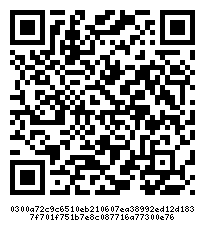 Use this QR code or key for your ETHEREUM GOLD cryptocurrency donation. 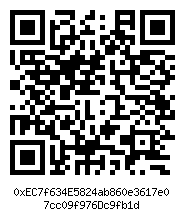 Use this QR code or key for your ETHEREUM LITE cryptocurrency donation. 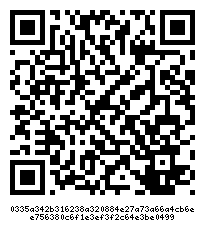 Use this QR code or key for your ETHERIYA cryptocurrency donation. 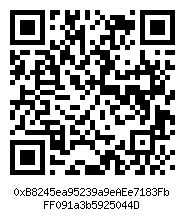 Use this QR code or key for your ETHEROLL cryptocurrency donation. 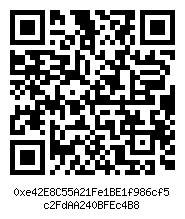 Use this QR code or key for your ETHERPARTY cryptocurrency donation. 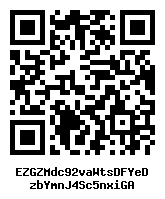 Use this QR code or key for your ETHERSPORTZ cryptocurrency donation. 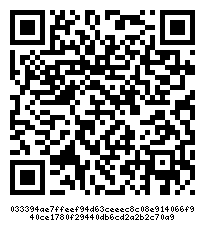 Use this QR code or key for your ETHGAS cryptocurrency donation. 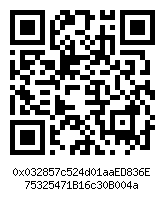 Use this QR code or key for your ETHLEND cryptocurrency donation. 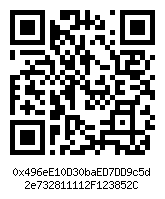 Use this QR code or key for your ETHORSE cryptocurrency donation. 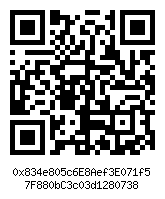 Use this QR code or key for your ETHOS cryptocurrency donation. 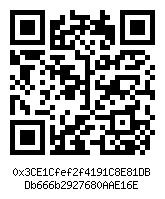 Use this QR code or key for your EUROPECOIN cryptocurrency donation. 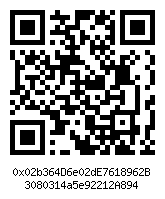 Use this QR code or key for your EUSD cryptocurrency donation. 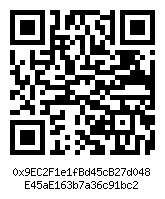 Use this QR code or key for your EVENTCHAIN cryptocurrency donation. 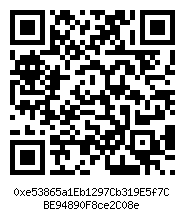 Use this QR code or key for your EVEREX cryptocurrency donation. 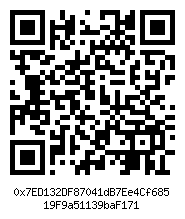 Use this QR code or key for your EVERUS cryptocurrency donation. 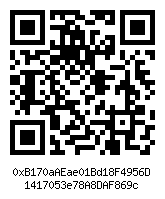 Use this QR code or key for your EXCHANGE COIN cryptocurrency donation. 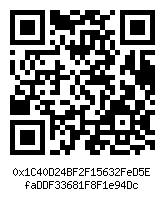 Use this QR code or key for your EXCHANGE N cryptocurrency donation. 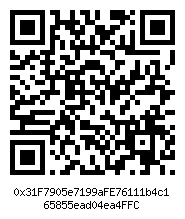 Use this QR code or key for your EXCHANGE UNION cryptocurrency donation. 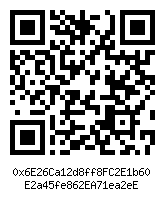 Use this QR code or key for your EXCLUSIVECOIN cryptocurrency donation. 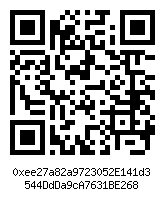 Use this QR code or key for your EXPANSE cryptocurrency donation. 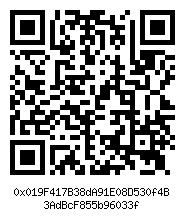 Use this QR code or key for your EXPERTY cryptocurrency donation. 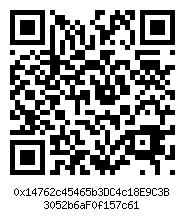 Use this QR code or key for your EXRNCHAIN cryptocurrency donation. 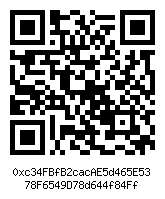 Use this QR code or key for your FACECOIN cryptocurrency donation. 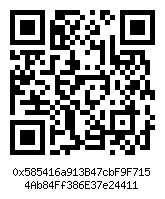 Use this QR code or key for your FAIRGAME cryptocurrency donation. 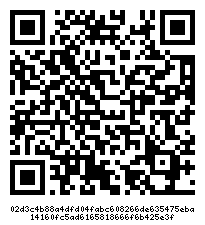 Use this QR code or key for your FAPCOIN cryptocurrency donation. 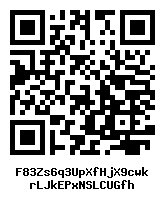 Use this QR code or key for your FARAD cryptocurrency donation. 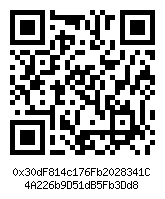 Use this QR code or key for your FASTCOIN cryptocurrency donation. 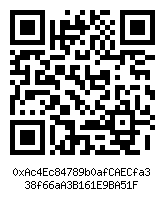 Use this QR code or key for your FEATHERCOIN cryptocurrency donation. 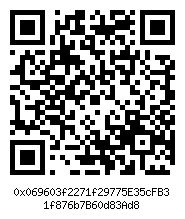 Use this QR code or key for your FEDORACOIN cryptocurrency donation. 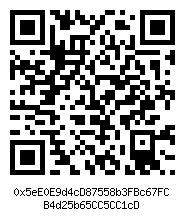 Use this QR code or key for your FIBRE cryptocurrency donation. 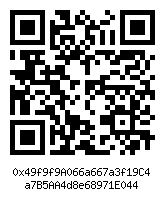 Use this QR code or key for your FIDENTIAX cryptocurrency donation. 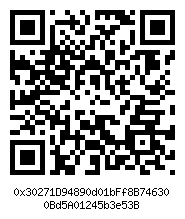 Use this QR code or key for your FIRSTBLOOD cryptocurrency donation. 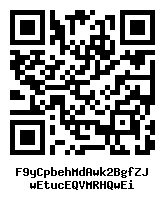 Use this QR code or key for your FIRSTCOIN cryptocurrency donation. 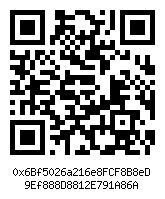 Use this QR code or key for your FLASH cryptocurrency donation. 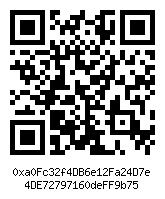 Use this QR code or key for your FLIK cryptocurrency donation. 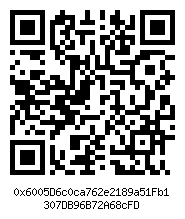 Use this QR code or key for your FLIXXO cryptocurrency donation. 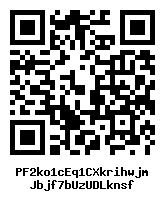 Use this QR code or key for your FLORINCOIN cryptocurrency donation. 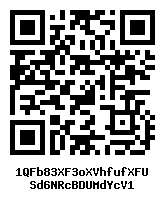 Use this QR code or key for your FLURBO cryptocurrency donation. 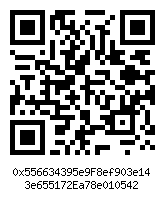 Use this QR code or key for your FLUTTERCOIN cryptocurrency donation. 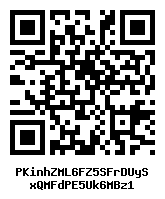 Use this QR code or key for your FLYPME cryptocurrency donation. 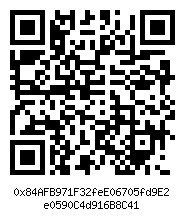 Use this QR code or key for your FORTUNA cryptocurrency donation. 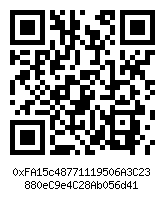 Use this QR code or key for your FRAZCOIN cryptocurrency donation. 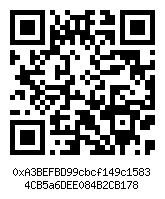 Use this QR code or key for your FREICOIN cryptocurrency donation. 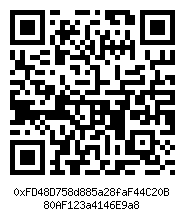 Use this QR code or key for your FUDCOIN cryptocurrency donation. 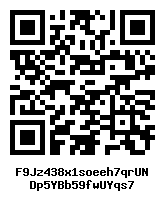 Use this QR code or key for your FUELCOIN cryptocurrency donation. 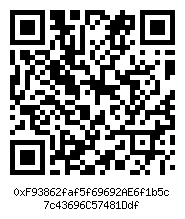 Use this QR code or key for your FUJICOIN cryptocurrency donation. 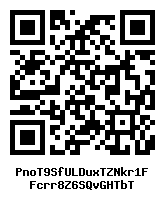 Use this QR code or key for your FUJINTO cryptocurrency donation. 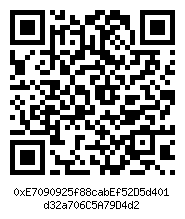 Use this QR code or key for your FUNDYOURSELFNOW cryptocurrency donation. 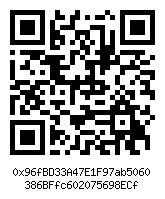 Use this QR code or key for your FUNFAIR cryptocurrency donation. 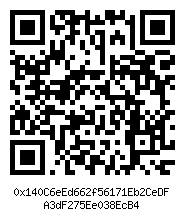 Use this QR code or key for your FUSION cryptocurrency donation. 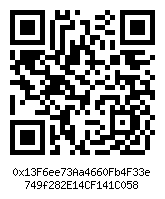 Use this QR code or key for your FUTURXE cryptocurrency donation. 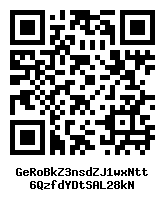 Use this QR code or key for your GABENCOIN cryptocurrency donation. 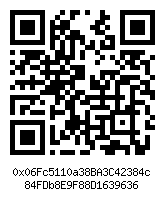 Use this QR code or key for your GAME cryptocurrency donation. 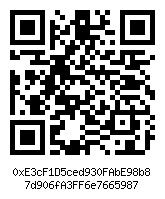 Use this QR code or key for your GAMECHAIN SYSTEM cryptocurrency donation. 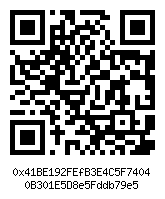 Use this QR code or key for your GAMECREDITS cryptocurrency donation. 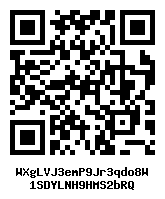 Use this QR code or key for your GARLICOIN cryptocurrency donation. 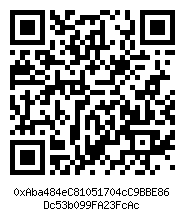 Use this QR code or key for your GATCOIN cryptocurrency donation. 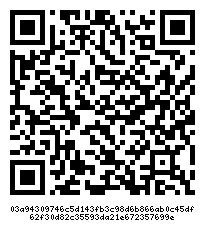 Use this QR code or key for your GEMS cryptocurrency donation. 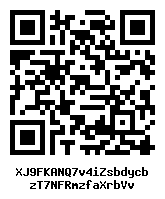 Use this QR code or key for your GENARO NETWORK cryptocurrency donation. 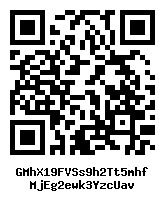 Use this QR code or key for your GENESISVISION cryptocurrency donation. 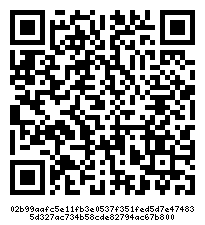 Use this QR code or key for your GET PROTOCOL cryptocurrency donation. 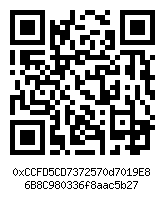 Use this QR code or key for your GIFTO cryptocurrency donation. 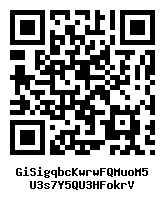 Use this QR code or key for your GIGA WATT TOKEN cryptocurrency donation. 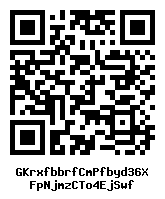 Use this QR code or key for your GIMLI cryptocurrency donation. 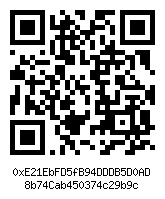 Use this QR code or key for your GLADIUS TOKEN cryptocurrency donation. 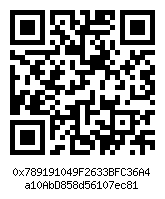 Use this QR code or key for your GLOBAL CURRENCY RESERVE cryptocurrency donation. 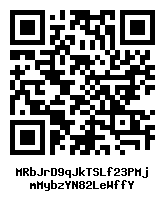 Use this QR code or key for your GLOBAL JOBCOIN cryptocurrency donation. 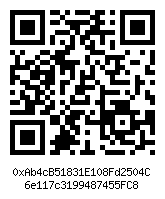 Use this QR code or key for your GLOBALBOOST cryptocurrency donation. 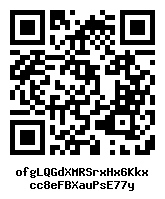 Use this QR code or key for your GNOSIS cryptocurrency donation. 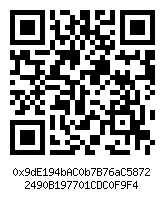 Use this QR code or key for your GOBYTE cryptocurrency donation. 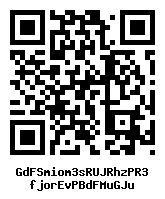 Use this QR code or key for your GOLDUNIONCOIN cryptocurrency donation. 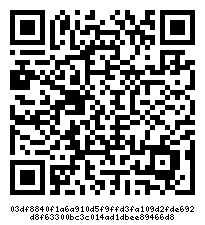 Use this QR code or key for your GOLEM cryptocurrency donation. 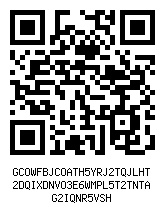 Use this QR code or key for your GOODCOIN cryptocurrency donation. 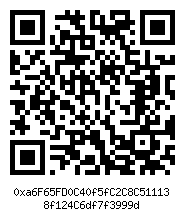 Use this QR code or key for your GOODOMY cryptocurrency donation. 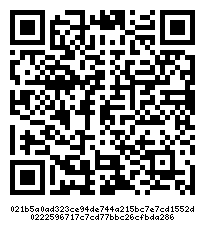 Use this QR code or key for your GRID+ cryptocurrency donation. 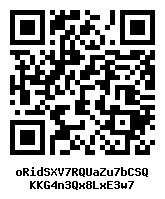 Use this QR code or key for your GRIDCOIN cryptocurrency donation. 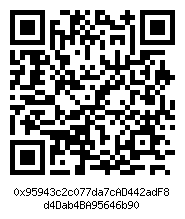 Use this QR code or key for your GRIDCOINRESEARCH cryptocurrency donation. 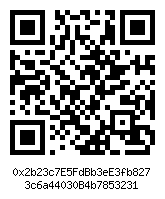 Use this QR code or key for your GUESS cryptocurrency donation. 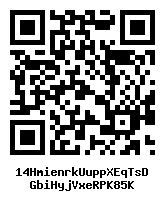 Use this QR code or key for your GULDEN cryptocurrency donation. 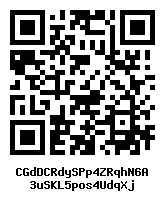 Use this QR code or key for your GUNCOIN cryptocurrency donation. 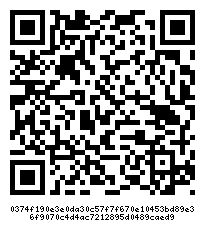 Use this QR code or key for your HACKEN cryptocurrency donation. 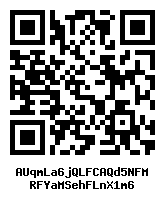 Use this QR code or key for your HAMRADIOCOIN cryptocurrency donation. 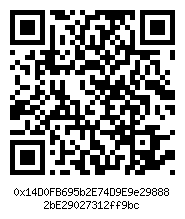 Use this QR code or key for your HEDGE cryptocurrency donation. 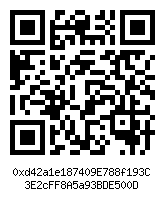 Use this QR code or key for your HELLENICCOIN cryptocurrency donation. 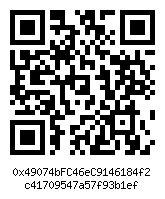 Use this QR code or key for your HELLOGOLD cryptocurrency donation. 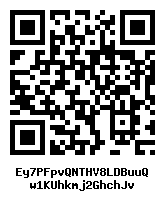 Use this QR code or key for your HEMPCOIN cryptocurrency donation. 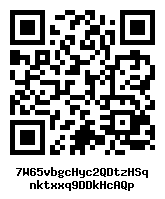 Use this QR code or key for your HEROCOIN cryptocurrency donation. 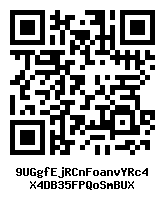 Use this QR code or key for your HFRCOIN cryptocurrency donation. 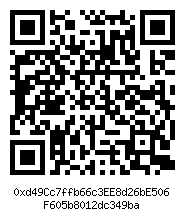 Use this QR code or key for your HIVE cryptocurrency donation. 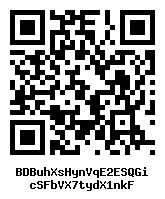 Use this QR code or key for your HODL BUCKS cryptocurrency donation. 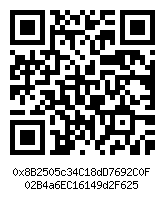 Use this QR code or key for your HODLCOIN cryptocurrency donation. 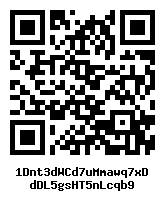 Use this QR code or key for your HTMLCOIN cryptocurrency donation. 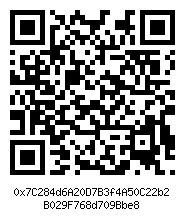 Use this QR code or key for your HUBII NETWORK cryptocurrency donation. 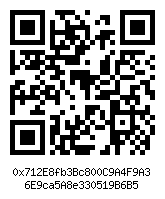 Use this QR code or key for your HUMANIQ cryptocurrency donation. 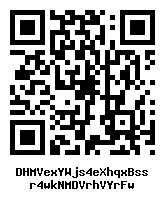 Use this QR code or key for your HUSH cryptocurrency donation. 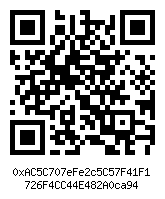 Use this QR code or key for your HYDRO PROTOCOL cryptocurrency donation. 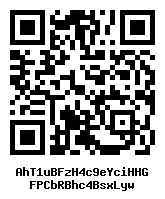 Use this QR code or key for your HYPERSTAKE cryptocurrency donation. 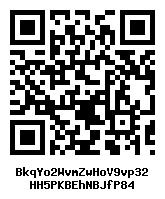 Use this QR code or key for your HYPERTV cryptocurrency donation. 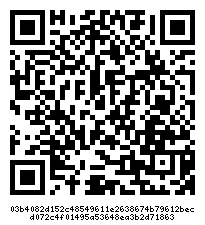 Use this QR code or key for your IBTC cryptocurrency donation. 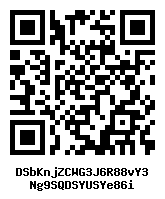 Use this QR code or key for your ICASH cryptocurrency donation. 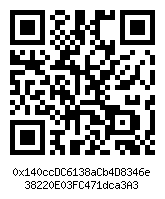 Use this QR code or key for your ICON cryptocurrency donation. Use this QR code or key for your ICONOMI cryptocurrency donation. 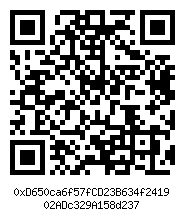 Use this QR code or key for your ICOS cryptocurrency donation. 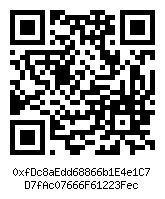 Use this QR code or key for your IDEX MEMBERSHIP cryptocurrency donation. 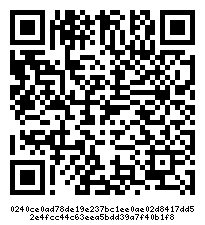 Use this QR code or key for your IDICE cryptocurrency donation. 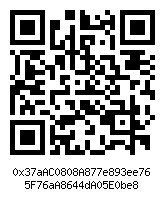 Use this QR code or key for your IETHEREUM cryptocurrency donation. 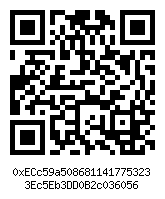 Use this QR code or key for your IEXECRLC cryptocurrency donation. 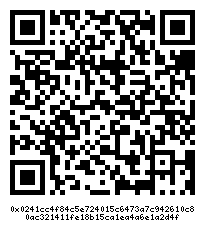 Use this QR code or key for your IMPERIUMCOIN cryptocurrency donation. 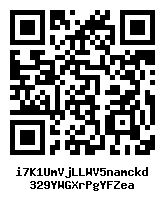 Use this QR code or key for your INCAKOIN cryptocurrency donation. 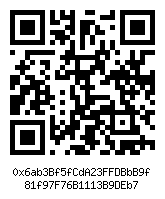 Use this QR code or key for your INCOGNITOCOIN cryptocurrency donation. 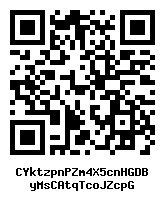 Use this QR code or key for your INDAHASH cryptocurrency donation. 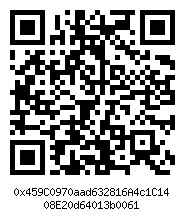 Use this QR code or key for your INDICOIN cryptocurrency donation. 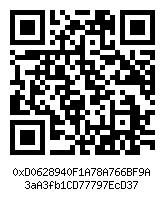 Use this QR code or key for your INDORSE TOKEN cryptocurrency donation. 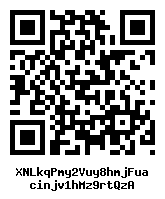 Use this QR code or key for your INFLUXCOIN cryptocurrency donation. 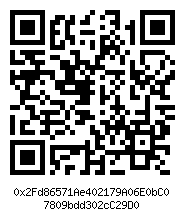 Use this QR code or key for your INK PROTOCOL cryptocurrency donation. 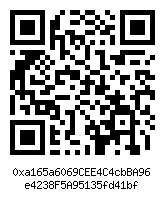 Use this QR code or key for your INNOX cryptocurrency donation. 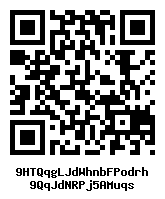 Use this QR code or key for your INSANECOIN cryptocurrency donation. 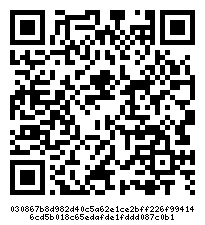 Use this QR code or key for your INSECOSYSTEM cryptocurrency donation. 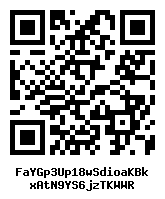 Use this QR code or key for your INSUREPAL cryptocurrency donation. 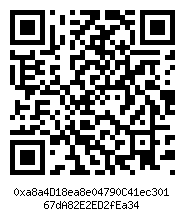 Use this QR code or key for your INTERNXT cryptocurrency donation. 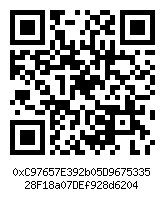 Use this QR code or key for your INVESTDIGITAL cryptocurrency donation. 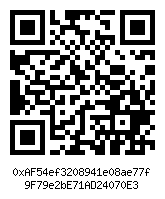 Use this QR code or key for your INVESTFEED cryptocurrency donation. 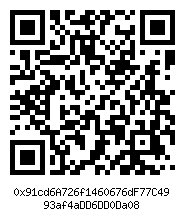 Use this QR code or key for your IOP cryptocurrency donation. 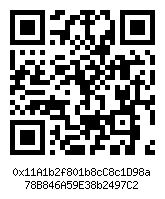 Use this QR code or key for your IOSTOKEN cryptocurrency donation. 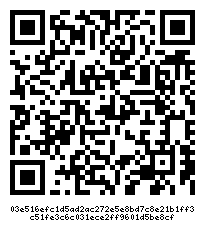 Use this QR code or key for your IOTCHAIN cryptocurrency donation. 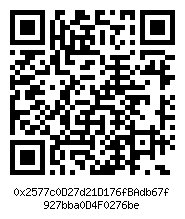 Use this QR code or key for your IPCHAIN cryptocurrency donation. 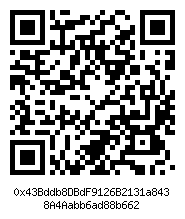 Use this QR code or key for your IQUANT cryptocurrency donation. 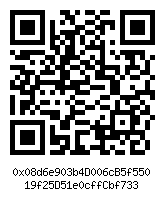 Use this QR code or key for your IRIDIUMCOIN cryptocurrency donation. 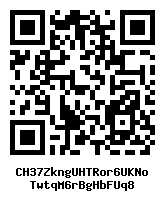 Use this QR code or key for your IUNGO cryptocurrency donation. 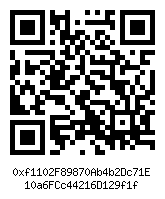 Use this QR code or key for your IXCOIN cryptocurrency donation. 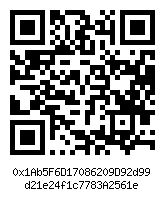 Use this QR code or key for your IXLEDGER cryptocurrency donation. 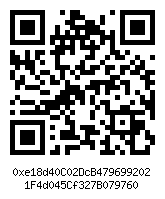 Use this QR code or key for your JESUSCOIN cryptocurrency donation. 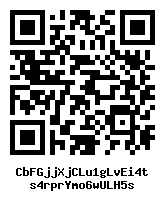 Use this QR code or key for your JETCOIN cryptocurrency donation. 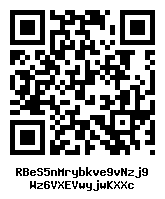 Use this QR code or key for your JIBRELNETWORK cryptocurrency donation. 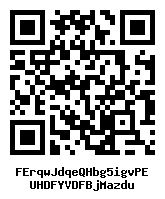 Use this QR code or key for your JUDGECOIN cryptocurrency donation. 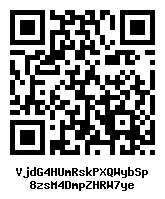 Use this QR code or key for your JUMBUCKS cryptocurrency donation. 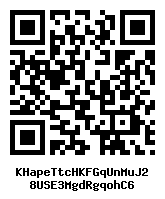 Use this QR code or key for your KHCOIN cryptocurrency donation. 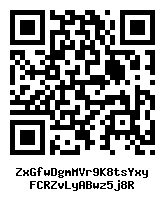 Use this QR code or key for your KICK COIN cryptocurrency donation. 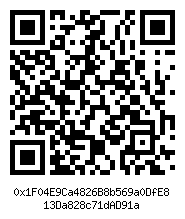 Use this QR code or key for your KIN cryptocurrency donation. 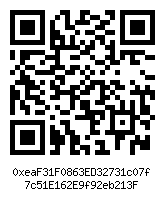 Use this QR code or key for your KITTEHCOIN cryptocurrency donation. 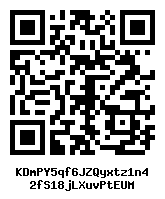 Use this QR code or key for your KOBOCOIN cryptocurrency donation. 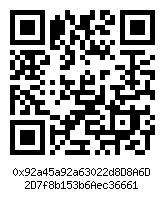 Use this QR code or key for your KOMODO cryptocurrency donation. 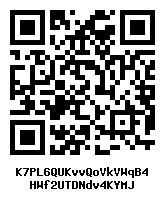 Use this QR code or key for your KUBERA COIN cryptocurrency donation. 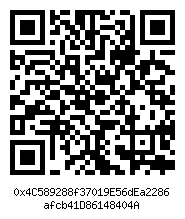 Use this QR code or key for your KUCOIN SHARES cryptocurrency donation. 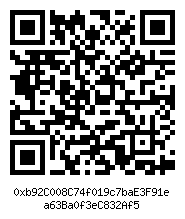 Use this QR code or key for your KYBER NETWORK cryptocurrency donation. 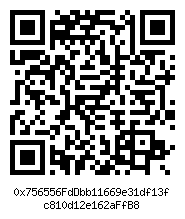 Use this QR code or key for your LAMDEN cryptocurrency donation. 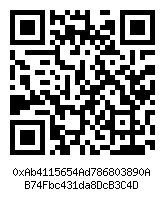 Use this QR code or key for your LAMPIX cryptocurrency donation. 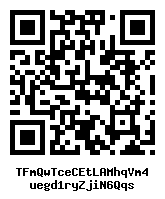 Use this QR code or key for your LANACOIN cryptocurrency donation. 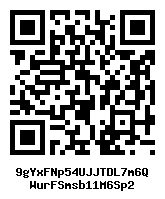 Use this QR code or key for your LANDCOIN cryptocurrency donation. 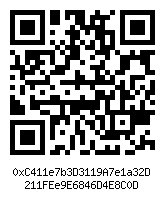 Use this QR code or key for your LATIUM cryptocurrency donation. 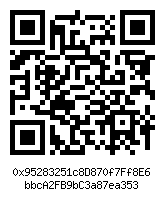 Use this QR code or key for your LATOKEN cryptocurrency donation. 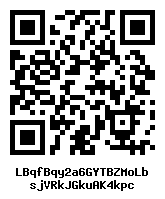 Use this QR code or key for your LBRY CREDITS cryptocurrency donation. 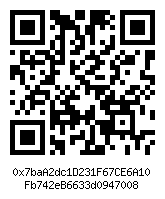 Use this QR code or key for your LEGENDS ROOM cryptocurrency donation. Use this QR code or key for your LENDCONNECT cryptocurrency donation. 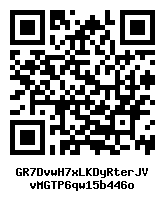 Use this QR code or key for your LEVERJ cryptocurrency donation. 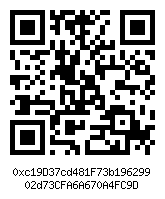 Use this QR code or key for your LIBRARY CREDITS cryptocurrency donation. 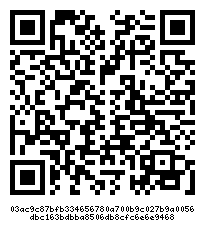 Use this QR code or key for your LIFE cryptocurrency donation. 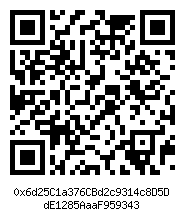 Use this QR code or key for your LIGHTCHAIN cryptocurrency donation. 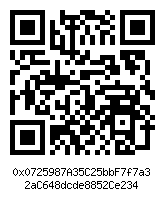 Use this QR code or key for your LINK PLATFORM cryptocurrency donation. 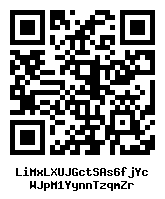 Use this QR code or key for your LINX cryptocurrency donation. 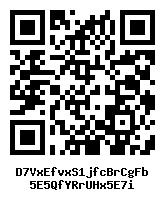 Use this QR code or key for your LITECOIN cryptocurrency donation. 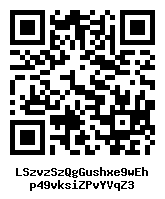 Use this QR code or key for your LITECOIN CASH cryptocurrency donation. 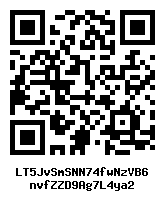 Use this QR code or key for your LITECOIN GOLD cryptocurrency donation. 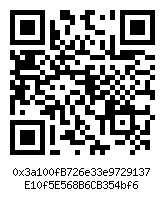 Use this QR code or key for your LITEDOGE cryptocurrency donation. 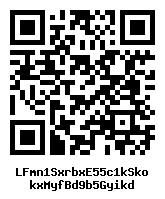 Use this QR code or key for your LLTOKEN cryptocurrency donation. 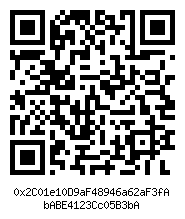 Use this QR code or key for your LOCICOIN cryptocurrency donation. 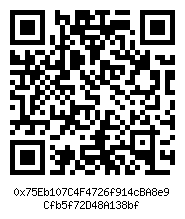 Use this QR code or key for your LOCKCHAIN cryptocurrency donation. 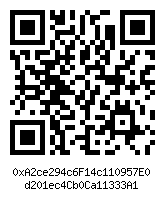 Use this QR code or key for your LOMOCOIN cryptocurrency donation. 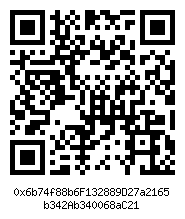 Use this QR code or key for your LOOPRING cryptocurrency donation. 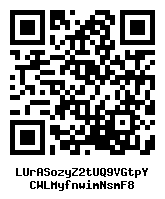 Use this QR code or key for your LUNYR cryptocurrency donation. 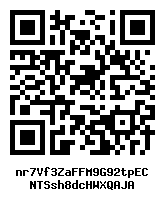 Use this QR code or key for your LYMPO cryptocurrency donation. 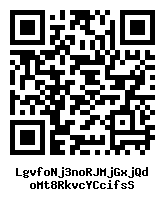 Use this QR code or key for your LYNX cryptocurrency donation. 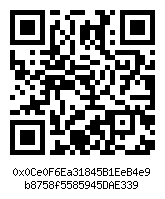 Use this QR code or key for your MACRO cryptocurrency donation. 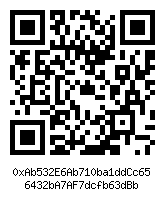 Use this QR code or key for your MADBYTECOIN cryptocurrency donation. 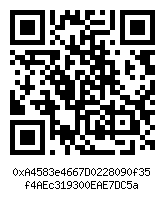 Use this QR code or key for your MAECENAS cryptocurrency donation. 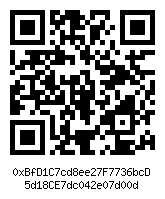 Use this QR code or key for your MAGGIE cryptocurrency donation. 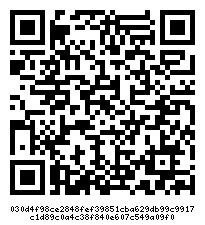 Use this QR code or key for your MAGICINTERNETMONEY cryptocurrency donation. 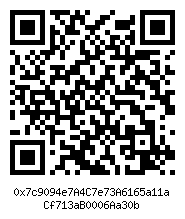 Use this QR code or key for your MAGICOIN cryptocurrency donation. 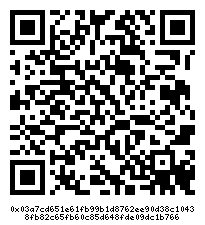 Use this QR code or key for your MAKER cryptocurrency donation. 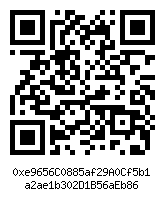 Use this QR code or key for your MARSCOIN cryptocurrency donation. 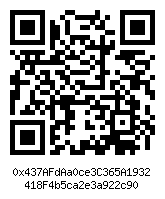 Use this QR code or key for your MARTEXCOIN cryptocurrency donation. 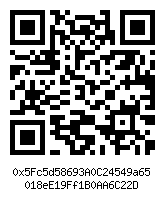 Use this QR code or key for your MASTERDOGE cryptocurrency donation. 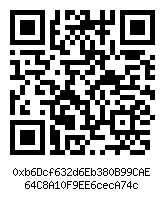 Use this QR code or key for your MATCHPOOL cryptocurrency donation. 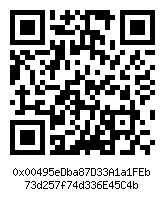 Use this QR code or key for your MATRYX cryptocurrency donation. 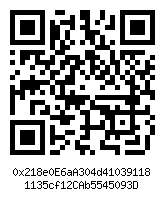 Use this QR code or key for your MAVERICK CHAIN cryptocurrency donation. 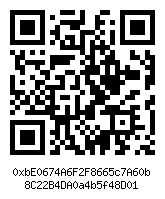 Use this QR code or key for your MAZA cryptocurrency donation. 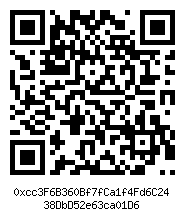 Use this QR code or key for your MCAP cryptocurrency donation. 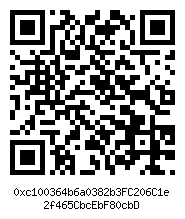 Use this QR code or key for your MEDICALCHAIN cryptocurrency donation. 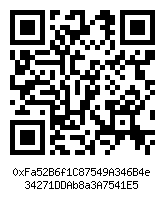 Use this QR code or key for your MEDISHARES cryptocurrency donation. 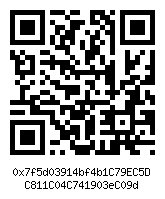 Use this QR code or key for your MEGACOIN cryptocurrency donation. 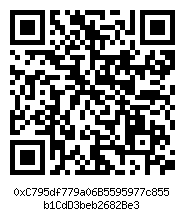 Use this QR code or key for your MELON cryptocurrency donation. 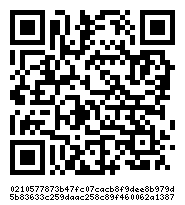 Use this QR code or key for your MERCURY PROTOCOL cryptocurrency donation. 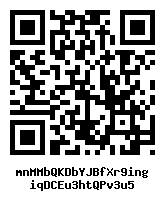 Use this QR code or key for your METAL cryptocurrency donation. 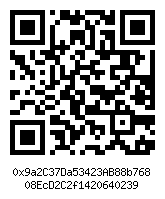 Use this QR code or key for your MICROMONEY cryptocurrency donation. 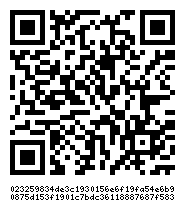 Use this QR code or key for your MINEREUM cryptocurrency donation. 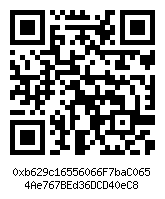 Use this QR code or key for your MINEXCOIN cryptocurrency donation. 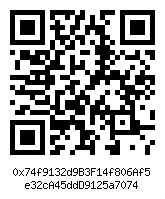 Use this QR code or key for your MINTCOIN cryptocurrency donation. 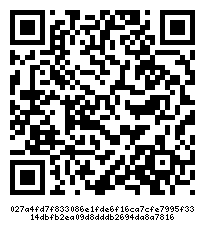 Use this QR code or key for your MIX cryptocurrency donation. 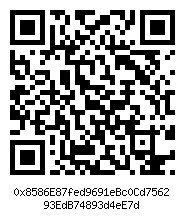 Use this QR code or key for your MIXIN cryptocurrency donation. 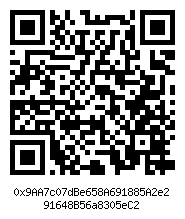 Use this QR code or key for your MOAC cryptocurrency donation. 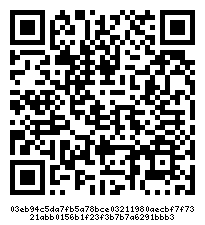 Use this QR code or key for your MOBILEGO cryptocurrency donation. 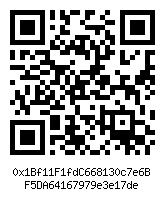 Use this QR code or key for your MOBIUSCOIN cryptocurrency donation. 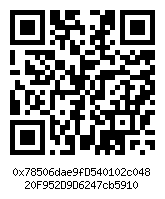 Use this QR code or key for your MODUM cryptocurrency donation. 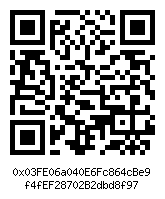 Use this QR code or key for your MOLECULAR FUTURE cryptocurrency donation. 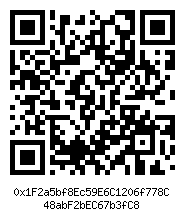 Use this QR code or key for your MONACO cryptocurrency donation. 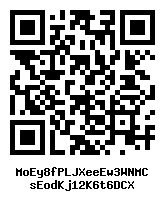 Use this QR code or key for your MONACOIN cryptocurrency donation. 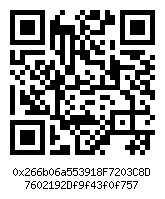 Use this QR code or key for your MONERO GOLD cryptocurrency donation. 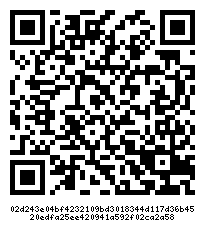 Use this QR code or key for your MONETARYUNIT cryptocurrency donation. 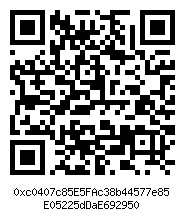 Use this QR code or key for your MONETHA cryptocurrency donation. 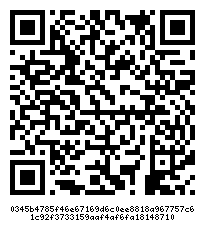 Use this QR code or key for your MONOCLE cryptocurrency donation. 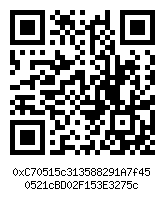 Use this QR code or key for your MOONCOIN cryptocurrency donation. 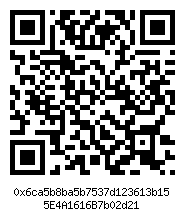 Use this QR code or key for your MOTHERSHIP cryptocurrency donation. 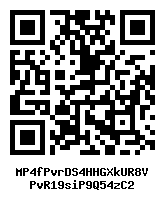 Use this QR code or key for your MUSICOIN cryptocurrency donation. 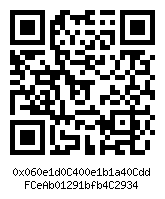 Use this QR code or key for your MUSICONOMI cryptocurrency donation. 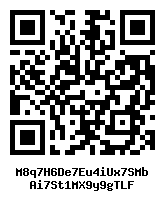 Use this QR code or key for your MYBIT cryptocurrency donation. 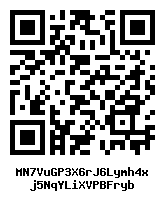 Use this QR code or key for your MYRIADCOIN cryptocurrency donation. 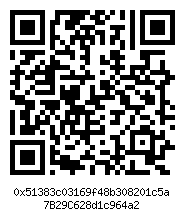 Use this QR code or key for your MYSTERIUM cryptocurrency donation. 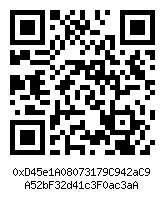 Use this QR code or key for your MYWISH cryptocurrency donation. 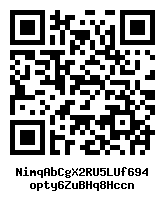 Use this QR code or key for your NAGA cryptocurrency donation. 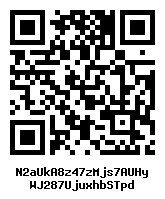 Use this QR code or key for your NAMECOIN cryptocurrency donation. 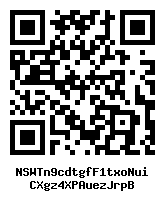 Use this QR code or key for your NASGO cryptocurrency donation. 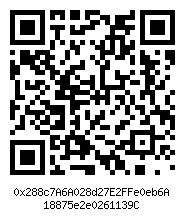 Use this QR code or key for your NATCOIN cryptocurrency donation. 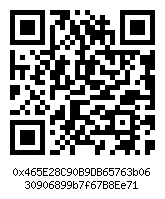 Use this QR code or key for your NAVCOIN cryptocurrency donation. Use this QR code or key for your NEBLIO cryptocurrency donation. 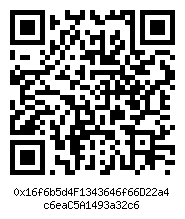 Use this QR code or key for your NEBULAS cryptocurrency donation. 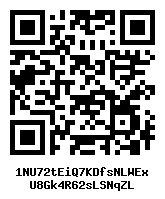 Use this QR code or key for your NEEDLECOIN cryptocurrency donation. 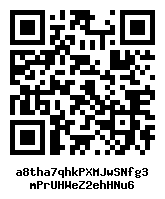 Use this QR code or key for your NEETCOIN cryptocurrency donation. 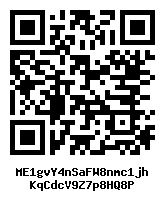 Use this QR code or key for your NEOSCOIN cryptocurrency donation. 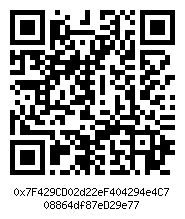 Use this QR code or key for your NETWORK TOKEN cryptocurrency donation. 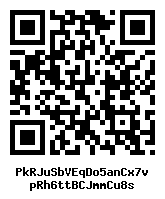 Use this QR code or key for your NEUMARK cryptocurrency donation. 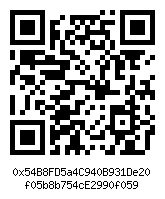 Use this QR code or key for your NEURO cryptocurrency donation. 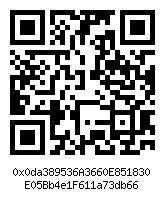 Use this QR code or key for your NEURODAO cryptocurrency donation. 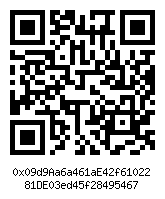 Use this QR code or key for your NEUROTOKEN cryptocurrency donation. 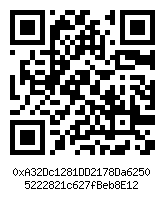 Use this QR code or key for your NEVACOIN cryptocurrency donation. 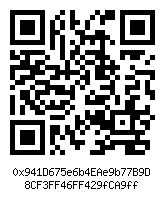 Use this QR code or key for your NEVERDIE cryptocurrency donation. 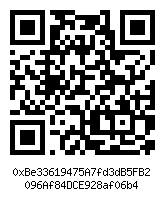 Use this QR code or key for your NEWBIUM cryptocurrency donation. 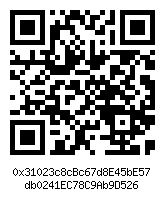 Use this QR code or key for your NEWORK cryptocurrency donation. 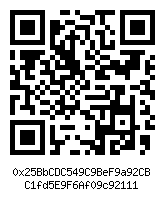 Use this QR code or key for your NEWYORKCOIN cryptocurrency donation. 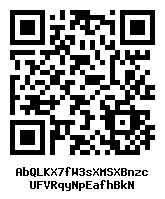 Use this QR code or key for your NEXIUM cryptocurrency donation. 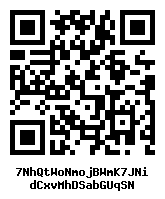 Use this QR code or key for your NIMFAMONEY cryptocurrency donation. 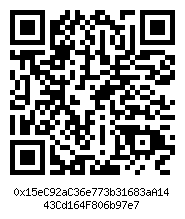 Use this QR code or key for your NIMIQ cryptocurrency donation. 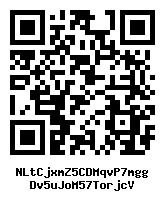 Use this QR code or key for your NITRO cryptocurrency donation. 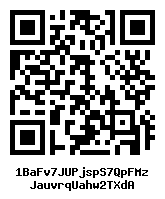 Use this QR code or key for your NOVACOIN cryptocurrency donation. 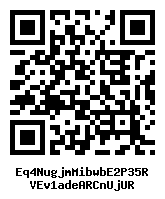 Use this QR code or key for your NUBITS cryptocurrency donation. 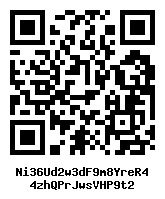 Use this QR code or key for your NUCLEUSVISION cryptocurrency donation. 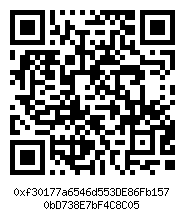 Use this QR code or key for your NULS cryptocurrency donation. 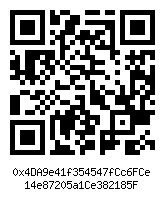 Use this QR code or key for your NUMERAIRE cryptocurrency donation. 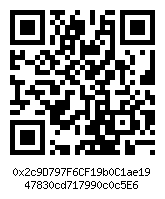 Use this QR code or key for your NUSHARES cryptocurrency donation. 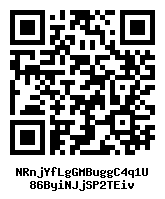 Use this QR code or key for your NYANCOIN cryptocurrency donation. 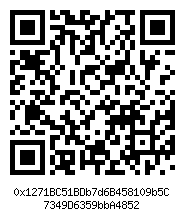 Use this QR code or key for your NYC cryptocurrency donation. 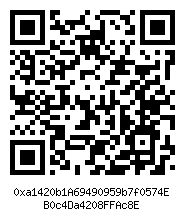 Use this QR code or key for your OAX cryptocurrency donation. 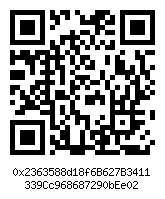 Use this QR code or key for your OCUPY cryptocurrency donation. 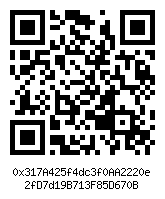 Use this QR code or key for your ODYSSEY cryptocurrency donation. 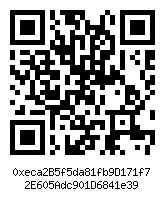 Use this QR code or key for your OKCASH cryptocurrency donation. 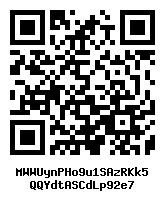 Use this QR code or key for your OLYMPUS LABS cryptocurrency donation. 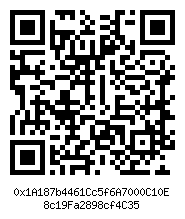 Use this QR code or key for your OMISEGO cryptocurrency donation. 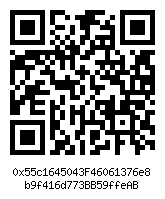 Use this QR code or key for your OMNICOIN cryptocurrency donation. 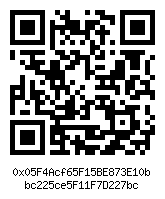 Use this QR code or key for your OMNICORE cryptocurrency donation. 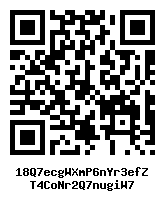 Use this QR code or key for your ONEROOT NETWORK cryptocurrency donation. 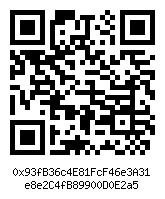 Use this QR code or key for your ONG.SOCIAL cryptocurrency donation. 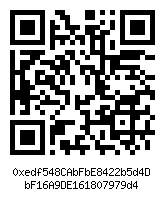 Use this QR code or key for your ONIX cryptocurrency donation. 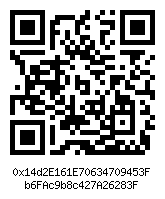 Use this QR code or key for your ONYXCOIN cryptocurrency donation. 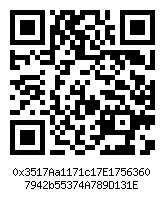 Use this QR code or key for your OPUS cryptocurrency donation. 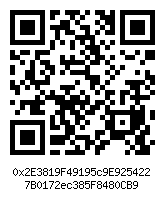 Use this QR code or key for your ORIGINTRAIL cryptocurrency donation. 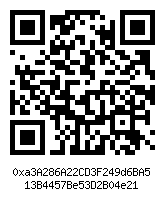 Use this QR code or key for your ORMEUS COIN cryptocurrency donation. 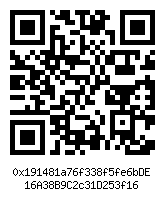 Use this QR code or key for your OXFINA cryptocurrency donation. 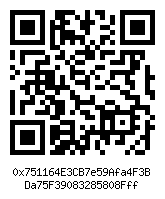 Use this QR code or key for your OYSTER cryptocurrency donation. 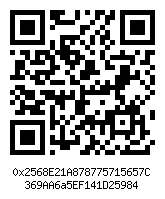 Use this QR code or key for your OYSTERPEARL cryptocurrency donation. 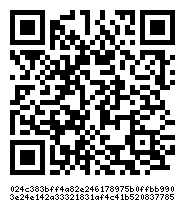 Use this QR code or key for your PACCOIN cryptocurrency donation. 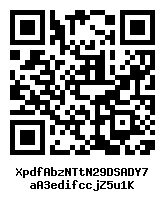 Use this QR code or key for your PANDACOIN cryptocurrency donation. 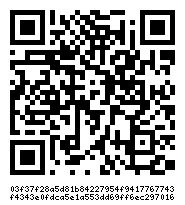 Use this QR code or key for your PARAGON cryptocurrency donation. 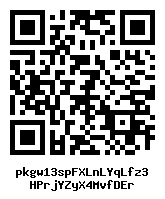 Use this QR code or key for your PARKBYTE cryptocurrency donation. 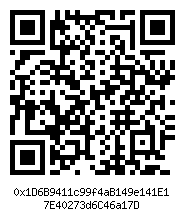 Use this QR code or key for your PARTICL cryptocurrency donation. 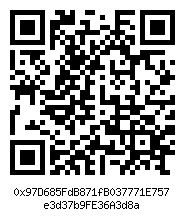 Use this QR code or key for your PATIENTORY cryptocurrency donation. 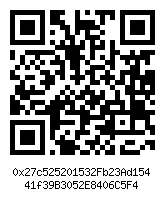 Use this QR code or key for your PAYCOIN cryptocurrency donation. 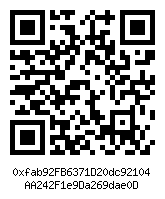 Use this QR code or key for your PAYFAIR cryptocurrency donation. 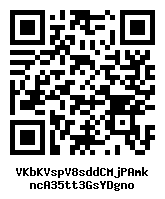 Use this QR code or key for your PAYPEX cryptocurrency donation. 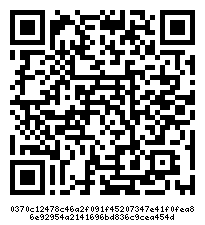 Use this QR code or key for your PAYPIE cryptocurrency donation. 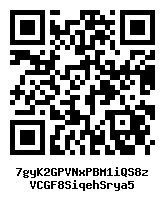 Use this QR code or key for your PEERCOIN cryptocurrency donation. 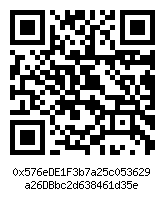 Use this QR code or key for your PESETACOIN cryptocurrency donation. 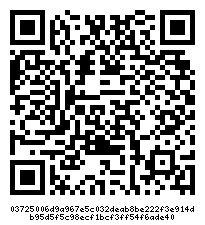 Use this QR code or key for your PESOBIT cryptocurrency donation. 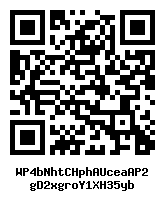 Use this QR code or key for your PHCOIN cryptocurrency donation. 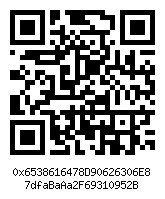 Use this QR code or key for your PHOENIXCOIN cryptocurrency donation. 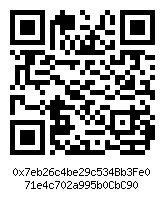 Use this QR code or key for your PIGGYCOIN cryptocurrency donation. 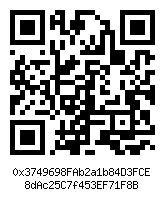 Use this QR code or key for your PILLAR cryptocurrency donation. 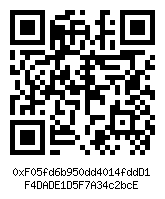 Use this QR code or key for your PINKCOIN cryptocurrency donation. 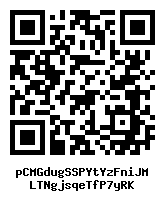 Use this QR code or key for your PIPLCOIN cryptocurrency donation. 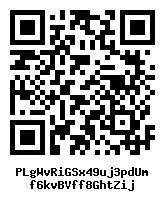 Use this QR code or key for your PIRL cryptocurrency donation. 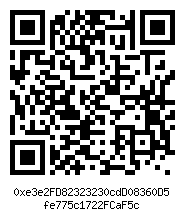 Use this QR code or key for your PIVX cryptocurrency donation. 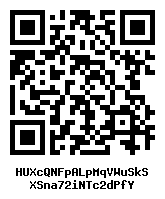 Use this QR code or key for your PIVX TESTNET cryptocurrency donation. 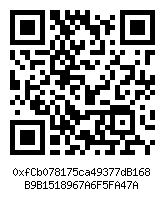 Use this QR code or key for your PLAYKEY cryptocurrency donation. 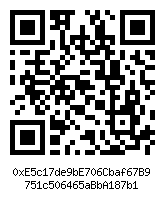 Use this QR code or key for your PLEXCOIN cryptocurrency donation. 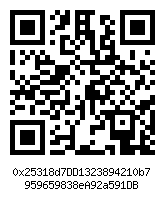 Use this QR code or key for your PLUSCOIN cryptocurrency donation. 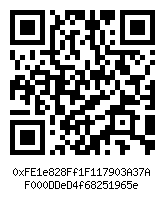 Use this QR code or key for your PLUTON cryptocurrency donation. 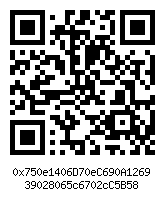 Use this QR code or key for your PO.ET cryptocurrency donation. 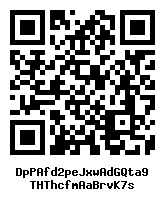 Use this QR code or key for your POA cryptocurrency donation. 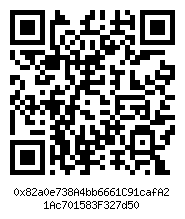 Use this QR code or key for your POLY AI cryptocurrency donation. 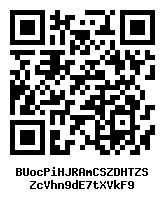 Use this QR code or key for your POLYBIUS cryptocurrency donation. 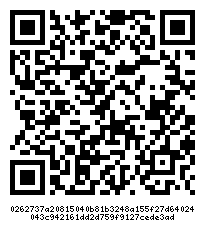 Use this QR code or key for your POLYMATHNETWORK cryptocurrency donation. 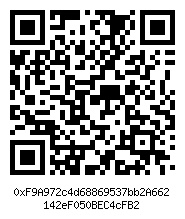 Use this QR code or key for your POPULOUS cryptocurrency donation. 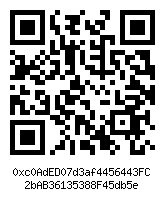 Use this QR code or key for your POSTOKEN cryptocurrency donation. 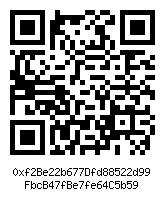 Use this QR code or key for your POSW COIN cryptocurrency donation. 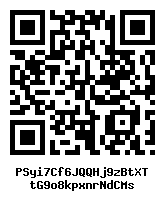 Use this QR code or key for your POTCOIN cryptocurrency donation. 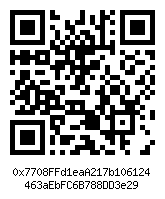 Use this QR code or key for your POWERLEDGER cryptocurrency donation. 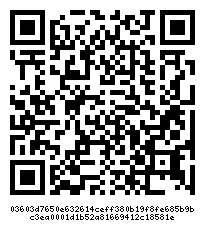 Use this QR code or key for your PRESEARCH cryptocurrency donation. 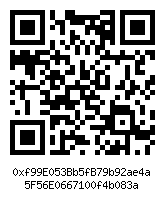 Use this QR code or key for your PRESSONE cryptocurrency donation. 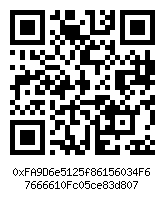 Use this QR code or key for your PRIMAS cryptocurrency donation. 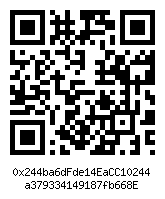 Use this QR code or key for your PRIMECOIN cryptocurrency donation. 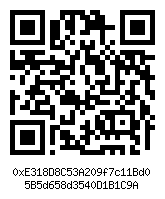 Use this QR code or key for your PRIVATIX cryptocurrency donation. 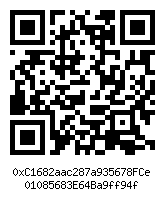 Use this QR code or key for your PROCHAIN cryptocurrency donation. 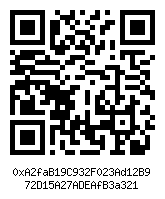 Use this QR code or key for your PROJECT COIN cryptocurrency donation. 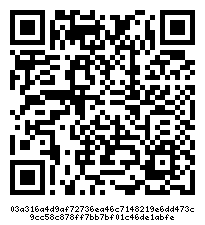 Use this QR code or key for your PROPY cryptocurrency donation. 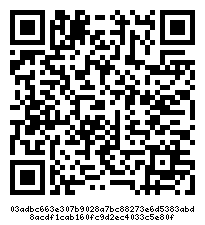 Use this QR code or key for your PROSPECTORS GOLD cryptocurrency donation. 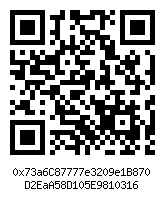 Use this QR code or key for your PROSPERCOINCLASSIC cryptocurrency donation. 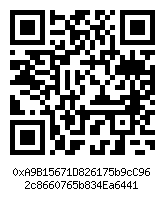 Use this QR code or key for your PUBLICA cryptocurrency donation. 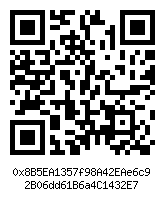 Use this QR code or key for your PURPOSE cryptocurrency donation. 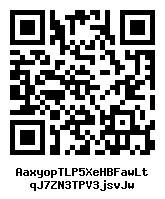 Use this QR code or key for your PUTINCOIN cryptocurrency donation. 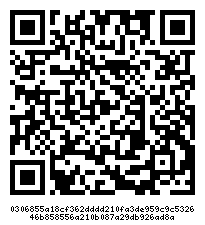 Use this QR code or key for your PYLON NETWORK cryptocurrency donation. 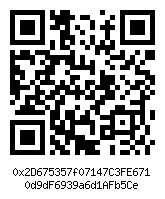 Use this QR code or key for your QASH cryptocurrency donation. 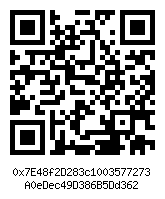 Use this QR code or key for your QTUM cryptocurrency donation. 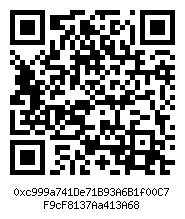 Use this QR code or key for your QUANTSTAMP cryptocurrency donation. 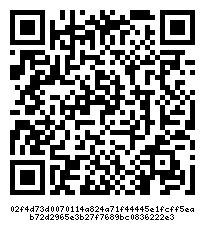 Use this QR code or key for your QUANTUM cryptocurrency donation. 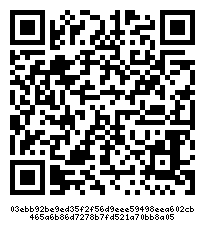 Use this QR code or key for your QUARK cryptocurrency donation. 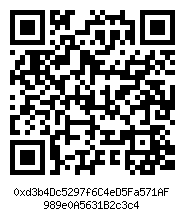 Use this QR code or key for your QUBE cryptocurrency donation. 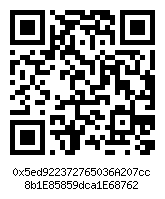 Use this QR code or key for your QUBITCOIN cryptocurrency donation. 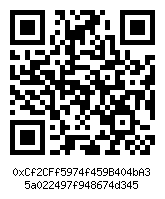 Use this QR code or key for your QUNQUN cryptocurrency donation. 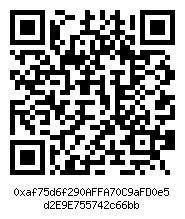 Use this QR code or key for your QVOLTA cryptocurrency donation. 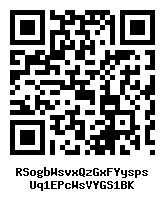 Use this QR code or key for your RCHAIN cryptocurrency donation. 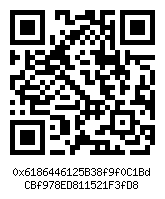 Use this QR code or key for your READ cryptocurrency donation. 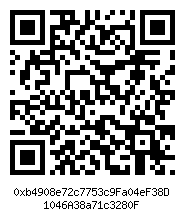 Use this QR code or key for your REAL cryptocurrency donation. 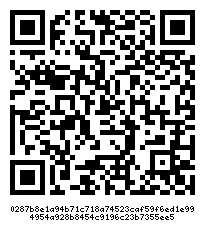 Use this QR code or key for your REALCHAIN cryptocurrency donation. 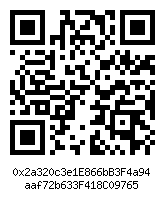 Use this QR code or key for your REBELLIOUS cryptocurrency donation. 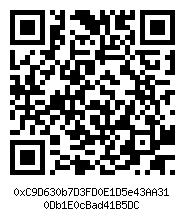 Use this QR code or key for your REDDCOIN cryptocurrency donation. 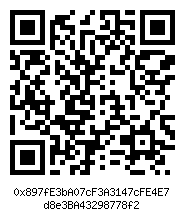 Use this QR code or key for your REDMWAT cryptocurrency donation. 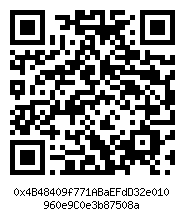 Use this QR code or key for your REFEREUM cryptocurrency donation. 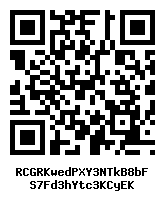 Use this QR code or key for your REFTOKEN cryptocurrency donation. 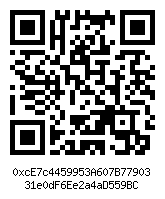 Use this QR code or key for your REMICOIN cryptocurrency donation. 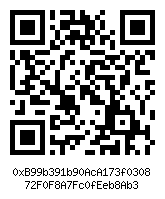 Use this QR code or key for your REMME cryptocurrency donation. 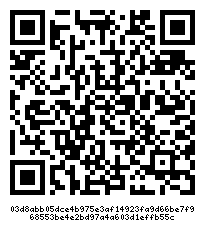 Use this QR code or key for your REQUESTNETWORK cryptocurrency donation. 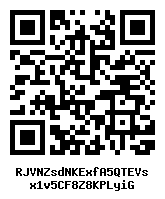 Use this QR code or key for your REVAIN cryptocurrency donation. 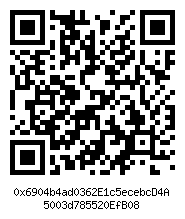 Use this QR code or key for your REVOLUTIONVR cryptocurrency donation. 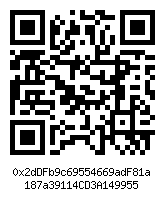 Use this QR code or key for your RIALTO cryptocurrency donation. 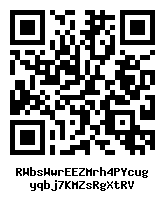 Use this QR code or key for your RIECOIN cryptocurrency donation. 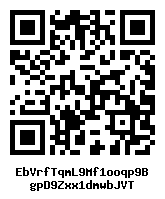 Use this QR code or key for your RIMBIT cryptocurrency donation. 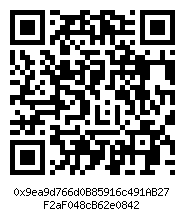 Use this QR code or key for your RIPPLE cryptocurrency donation. 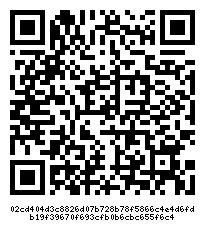 Use this QR code or key for your RIVETZ cryptocurrency donation. 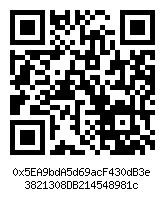 Use this QR code or key for your ROCK cryptocurrency donation. 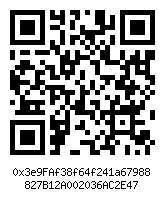 Use this QR code or key for your ROICOIN cryptocurrency donation. 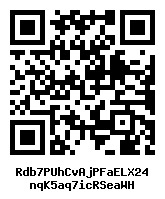 Use this QR code or key for your ROULETTETOKEN cryptocurrency donation. 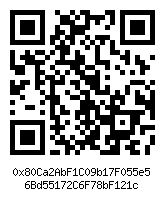 Use this QR code or key for your RUBYCOIN cryptocurrency donation. 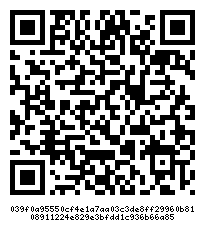 Use this QR code or key for your RUFF cryptocurrency donation. 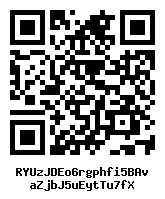 Use this QR code or key for your RUPAYA cryptocurrency donation. 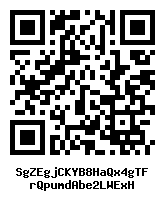 Use this QR code or key for your SALT cryptocurrency donation. 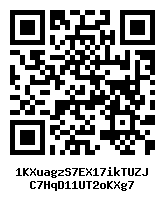 Use this QR code or key for your SALUS cryptocurrency donation. 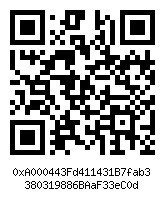 Use this QR code or key for your SAMBACOIN cryptocurrency donation. 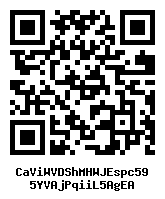 Use this QR code or key for your SAND COIN cryptocurrency donation. 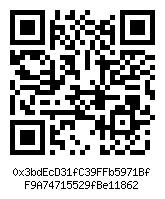 Use this QR code or key for your SCRY.INFO cryptocurrency donation. 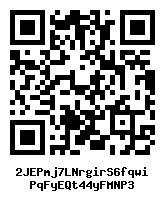 Use this QR code or key for your SECKCOIN cryptocurrency donation. 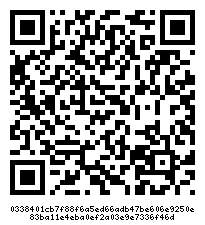 Use this QR code or key for your SELFKEY cryptocurrency donation. 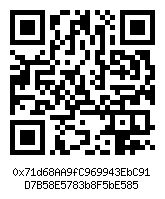 Use this QR code or key for your SELFSELL cryptocurrency donation. 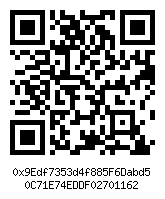 Use this QR code or key for your SENDERON cryptocurrency donation. 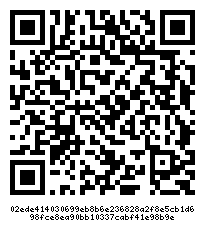 Use this QR code or key for your SENSE cryptocurrency donation. 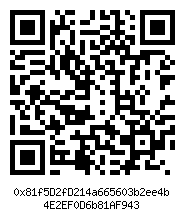 Use this QR code or key for your SETHER cryptocurrency donation. 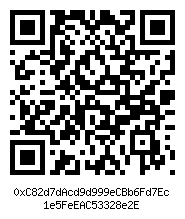 Use this QR code or key for your SHADOWCASH cryptocurrency donation. 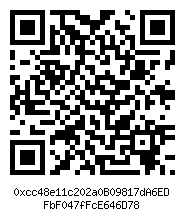 Use this QR code or key for your SHARECHAIN cryptocurrency donation. 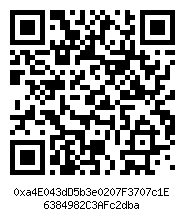 Use this QR code or key for your SHAREX cryptocurrency donation. 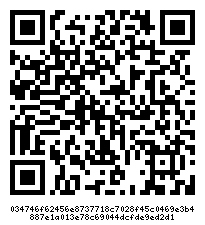 Use this QR code or key for your SHOW cryptocurrency donation. 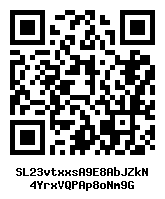 Use this QR code or key for your SIBCOIN cryptocurrency donation. 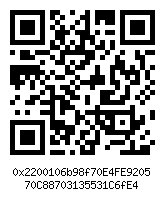 Use this QR code or key for your SIMPLETOKEN cryptocurrency donation. 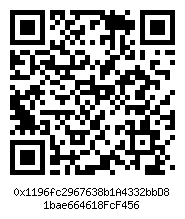 Use this QR code or key for your SINGULARDTV cryptocurrency donation. 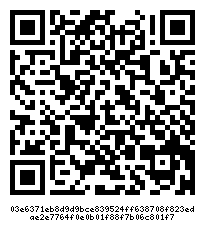 Use this QR code or key for your SINGULARITYNET cryptocurrency donation. 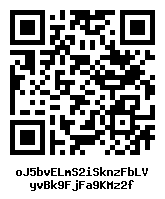 Use this QR code or key for your SIRINLABSTOKEN cryptocurrency donation. 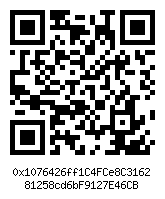 Use this QR code or key for your SIXELEVEN cryptocurrency donation. 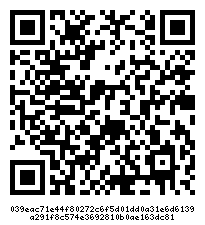 Use this QR code or key for your SKINCOIN cryptocurrency donation. 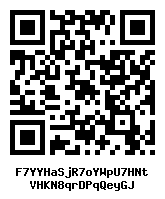 Use this QR code or key for your SLIMCOIN cryptocurrency donation. 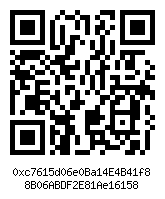 Use this QR code or key for your SMARTBILLIONS cryptocurrency donation. 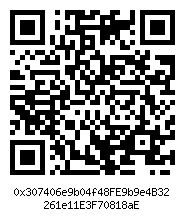 Use this QR code or key for your SMARTMESH cryptocurrency donation. 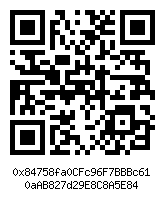 Use this QR code or key for your SMILEYCOIN cryptocurrency donation. 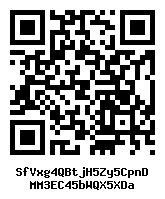 Use this QR code or key for your SNOVIO cryptocurrency donation. 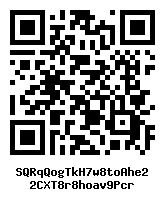 Use this QR code or key for your SOARCOIN cryptocurrency donation. 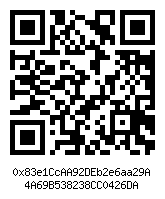 Use this QR code or key for your SOCIAL cryptocurrency donation. 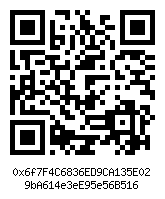 Use this QR code or key for your SOCIALL cryptocurrency donation. 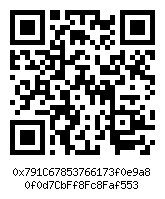 Use this QR code or key for your SOLARCOIN cryptocurrency donation. 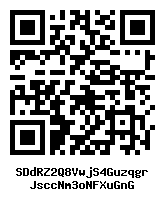 Use this QR code or key for your SOMA cryptocurrency donation. 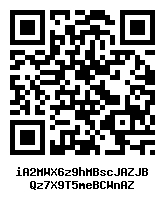 Use this QR code or key for your SONGCOIN cryptocurrency donation. 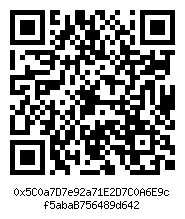 Use this QR code or key for your SONM cryptocurrency donation. 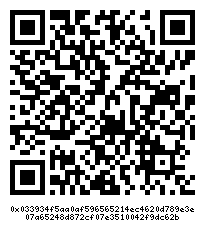 Use this QR code or key for your SOPHIATX cryptocurrency donation. 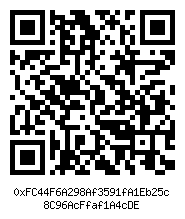 Use this QR code or key for your SPANKCHAIN cryptocurrency donation. 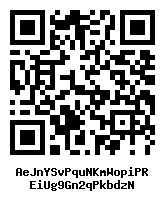 Use this QR code or key for your SPHREAIR cryptocurrency donation. Use this QR code or key for your SPORTYCO cryptocurrency donation. 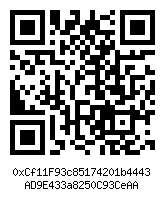 Use this QR code or key for your SPORTYFI cryptocurrency donation. 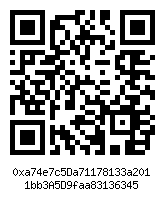 Use this QR code or key for your SPREADCOIN cryptocurrency donation. 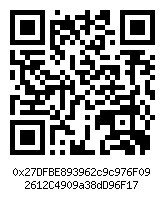 Use this QR code or key for your STARBASE cryptocurrency donation. 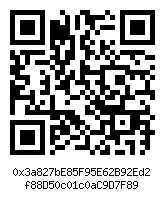 Use this QR code or key for your STARCHAIN cryptocurrency donation. 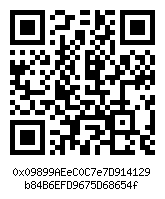 Use this QR code or key for your STARCREDITS cryptocurrency donation. 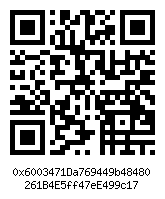 Use this QR code or key for your STATUS cryptocurrency donation. 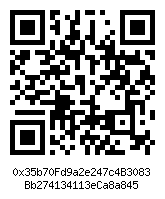 Use this QR code or key for your STEALTHCOIN cryptocurrency donation. 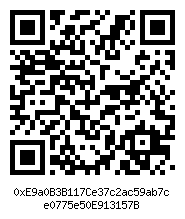 Use this QR code or key for your STELLAR cryptocurrency donation. 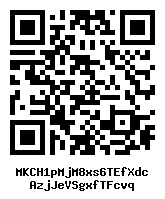 Use this QR code or key for your STK cryptocurrency donation. 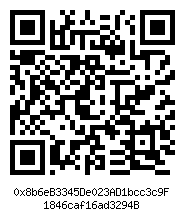 Use this QR code or key for your STORJ cryptocurrency donation. 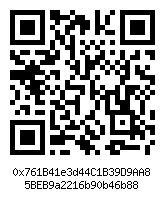 Use this QR code or key for your STORM cryptocurrency donation. 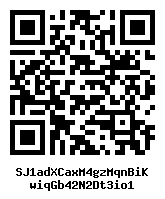 Use this QR code or key for your STOX cryptocurrency donation. Use this QR code or key for your STRATIS cryptocurrency donation. 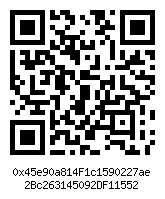 Use this QR code or key for your STRATISTESTNET cryptocurrency donation. 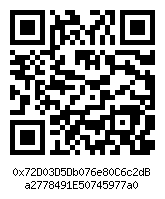 Use this QR code or key for your STREAMRDATACOIN cryptocurrency donation. 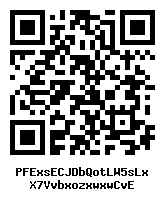 Use this QR code or key for your SUBSTRATUM cryptocurrency donation. 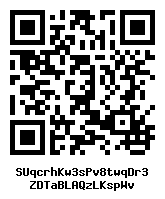 Use this QR code or key for your SUGAR EXCHANGE cryptocurrency donation. 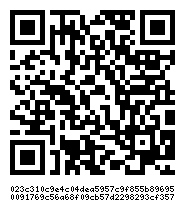 Use this QR code or key for your SUNCONTRACT cryptocurrency donation. 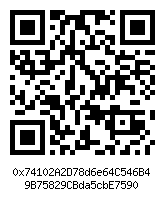 Use this QR code or key for your SURETLY cryptocurrency donation. 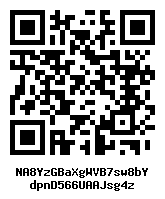 Use this QR code or key for your SWAGBUCKS cryptocurrency donation. 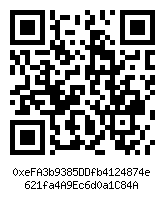 Use this QR code or key for your SWAPCOIN cryptocurrency donation. 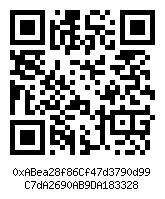 Use this QR code or key for your SWARM cryptocurrency donation. 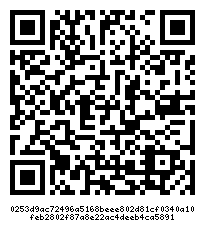 Use this QR code or key for your SWARM CITY cryptocurrency donation. 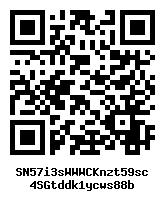 Use this QR code or key for your SWFTCOIN cryptocurrency donation. 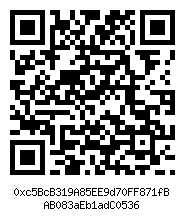 Use this QR code or key for your SWISSBORG cryptocurrency donation. 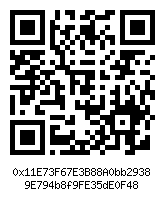 Use this QR code or key for your SYSCOIN cryptocurrency donation. 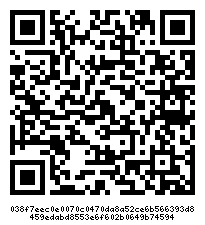 Use this QR code or key for your TAAS cryptocurrency donation. 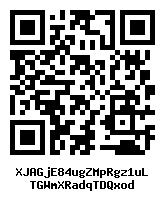 Use this QR code or key for your TAJCOIN cryptocurrency donation. 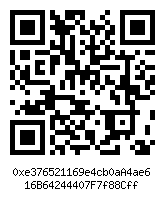 Use this QR code or key for your TARGET COIN cryptocurrency donation. 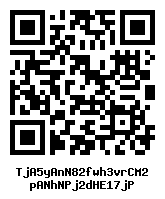 Use this QR code or key for your TELCOIN cryptocurrency donation. 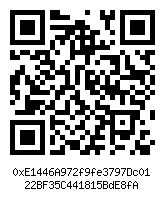 Use this QR code or key for your TENX cryptocurrency donation. 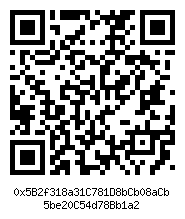 Use this QR code or key for your TERRACOIN cryptocurrency donation. 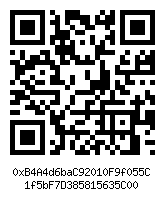 Use this QR code or key for your TESTNET BITCOIN cryptocurrency donation. 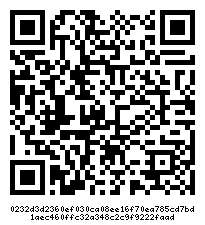 Use this QR code or key for your TESTNET DOGECOIN cryptocurrency donation. 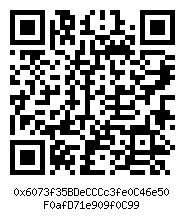 Use this QR code or key for your TESTNET MONETARY UNIT cryptocurrency donation. 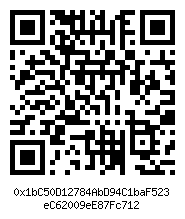 Use this QR code or key for your TESTNET PIVX cryptocurrency donation. 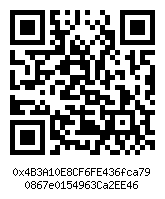 Use this QR code or key for your TESTNET WACOINS cryptocurrency donation. 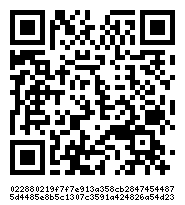 Use this QR code or key for your THETATOKEN cryptocurrency donation. 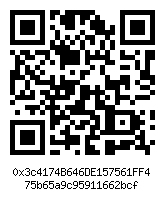 Use this QR code or key for your TIERION cryptocurrency donation. 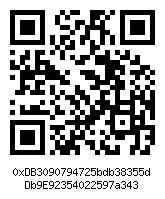 Use this QR code or key for your TIES.DB cryptocurrency donation. 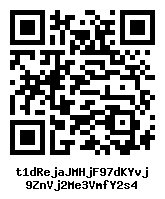 Use this QR code or key for your TIGEREUM cryptocurrency donation. 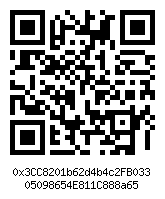 Use this QR code or key for your TIMENEWBANK cryptocurrency donation. 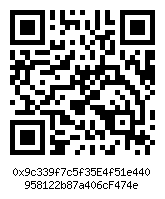 Use this QR code or key for your TITCOIN cryptocurrency donation. 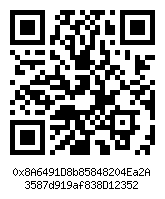 Use this QR code or key for your TITTIECOIN cryptocurrency donation. 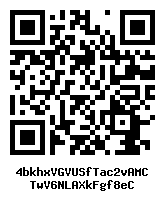 Use this QR code or key for your TOACOIN cryptocurrency donation. 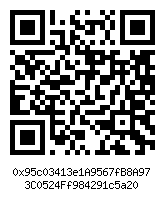 Use this QR code or key for your TOKENBOX cryptocurrency donation. 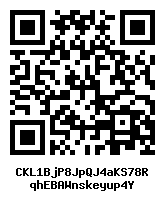 Use this QR code or key for your TOKENCARD cryptocurrency donation. 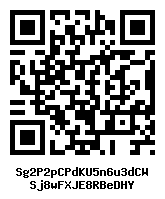 Use this QR code or key for your TOKENCLUB cryptocurrency donation. 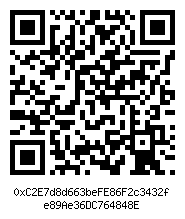 Use this QR code or key for your TOPCHAIN cryptocurrency donation. 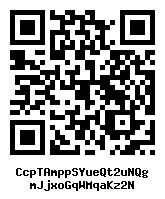 Use this QR code or key for your TOPCOIN cryptocurrency donation. 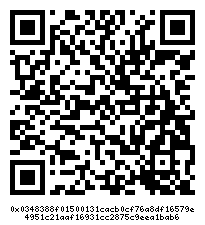 Use this QR code or key for your TRACTO cryptocurrency donation. 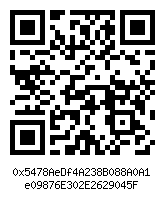 Use this QR code or key for your TRADE TOKEN cryptocurrency donation. 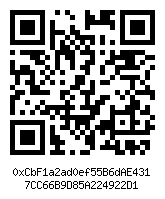 Use this QR code or key for your TRANSFERCOIN cryptocurrency donation. 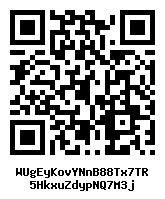 Use this QR code or key for your TREASUREHUNTCOIN cryptocurrency donation. 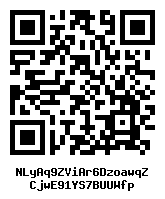 Use this QR code or key for your TREZARCOIN cryptocurrency donation. 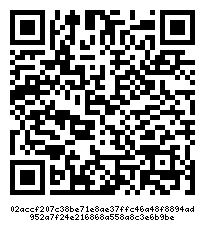 Use this QR code or key for your TRIACONTA cryptocurrency donation. 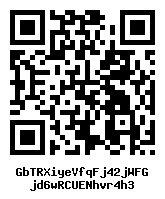 Use this QR code or key for your TRIDENT GROUP cryptocurrency donation. 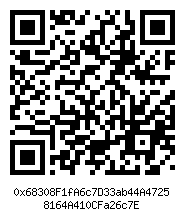 Use this QR code or key for your TRON cryptocurrency donation. 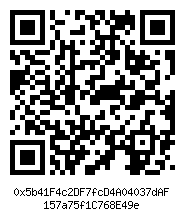 Use this QR code or key for your TRUECHAIN cryptocurrency donation. 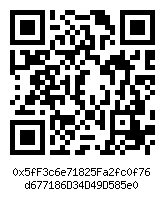 Use this QR code or key for your TRUEFLIP cryptocurrency donation. 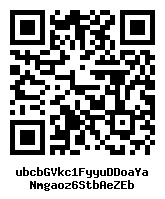 Use this QR code or key for your UCASH cryptocurrency donation. 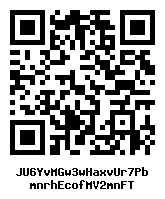 Use this QR code or key for your UG TOKEN cryptocurrency donation. 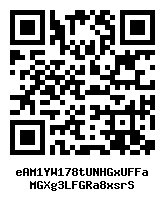 Use this QR code or key for your UGCHAIN cryptocurrency donation. 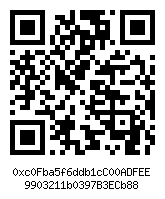 Use this QR code or key for your ULTIMATE SECURE CASH cryptocurrency donation. 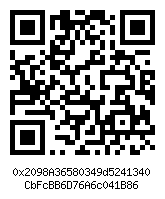 Use this QR code or key for your UNIKOIN GOLD cryptocurrency donation. 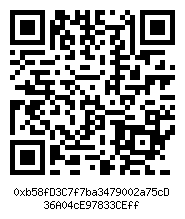 Use this QR code or key for your UNIVERSA cryptocurrency donation. 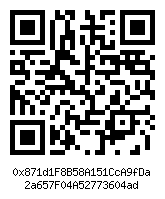 Use this QR code or key for your UNLIMITEDIP cryptocurrency donation. 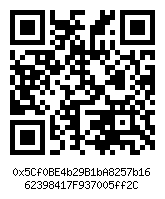 Use this QR code or key for your UNOBTANIUM cryptocurrency donation. 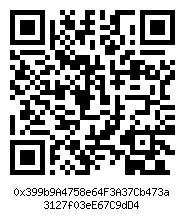 Use this QR code or key for your UPFIRING cryptocurrency donation. 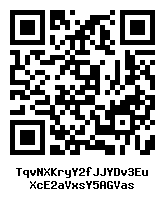 Use this QR code or key for your UQUID COIN cryptocurrency donation. 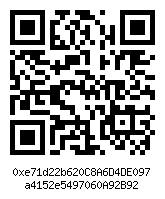 Use this QR code or key for your USDE cryptocurrency donation. 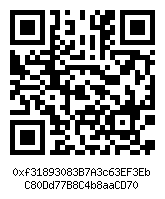 Use this QR code or key for your UTRUST cryptocurrency donation. 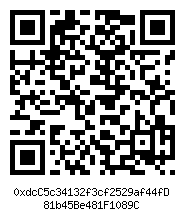 Use this QR code or key for your VALUECHAIN cryptocurrency donation. 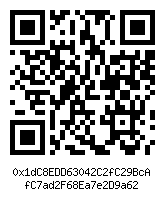 Use this QR code or key for your VCASH cryptocurrency donation. 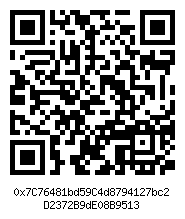 Use this QR code or key for your VECHAIN cryptocurrency donation. 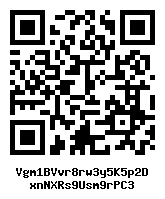 Use this QR code or key for your VERGE cryptocurrency donation. 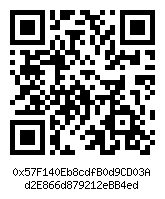 Use this QR code or key for your VERGECOIN cryptocurrency donation. 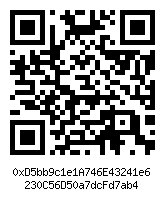 Use this QR code or key for your VERIFY cryptocurrency donation. 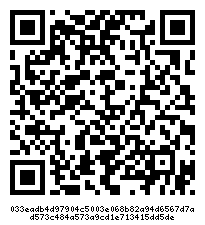 Use this QR code or key for your VERITASEUM cryptocurrency donation. 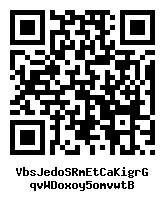 Use this QR code or key for your VEROS cryptocurrency donation. 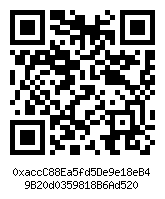 Use this QR code or key for your VERSIONCOIN cryptocurrency donation. 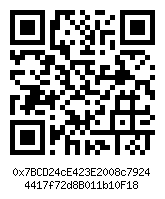 Use this QR code or key for your VERTCOIN cryptocurrency donation. 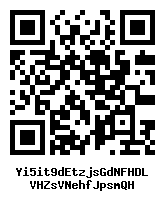 Use this QR code or key for your VEZT cryptocurrency donation. 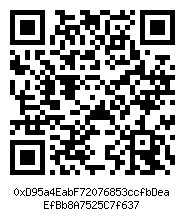 Use this QR code or key for your VIACOIN cryptocurrency donation. 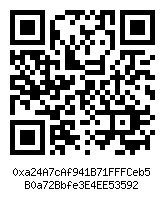 Use this QR code or key for your VIACOIN TESTNET cryptocurrency donation. 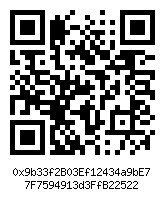 Use this QR code or key for your VIBE cryptocurrency donation. 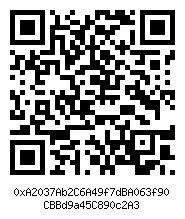 Use this QR code or key for your VIBERATE cryptocurrency donation. 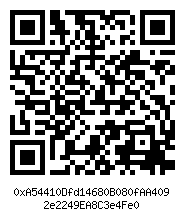 Use this QR code or key for your VIKINGCOIN cryptocurrency donation. 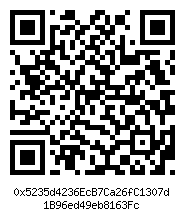 Use this QR code or key for your VIULY cryptocurrency donation. 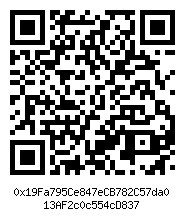 Use this QR code or key for your VIVO cryptocurrency donation. 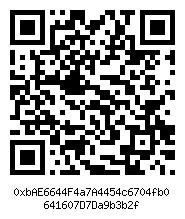 Use this QR code or key for your VOISE cryptocurrency donation. 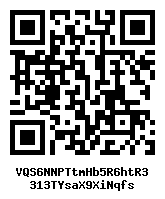 Use this QR code or key for your VPNCOIN cryptocurrency donation. 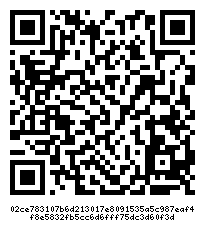 Use this QR code or key for your VSLICE cryptocurrency donation. 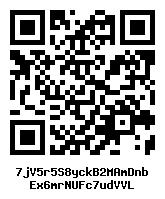 Use this QR code or key for your W2COIN cryptocurrency donation. 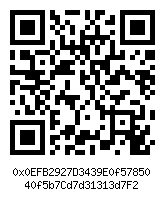 Use this QR code or key for your WABI cryptocurrency donation. 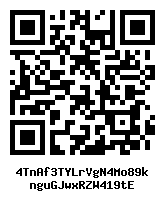 Use this QR code or key for your WACOINS cryptocurrency donation. 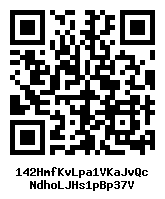 Use this QR code or key for your WALTON cryptocurrency donation. 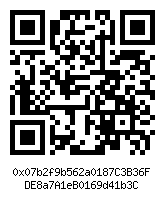 Use this QR code or key for your WALTONCHAIN cryptocurrency donation. 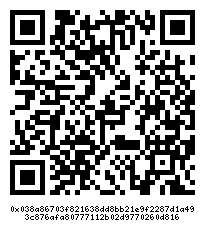 Use this QR code or key for your WANDX cryptocurrency donation. 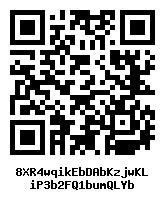 Use this QR code or key for your WANKCOIN cryptocurrency donation. 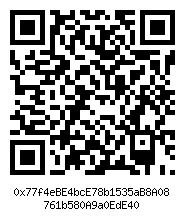 Use this QR code or key for your WAX cryptocurrency donation. 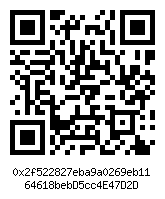 Use this QR code or key for your WEARESATOSHICOIN cryptocurrency donation. 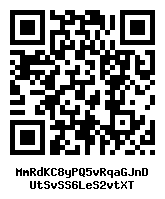 Use this QR code or key for your WEPOWER cryptocurrency donation. 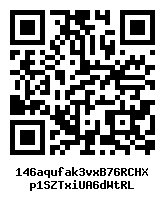 Use this QR code or key for your WETH cryptocurrency donation. 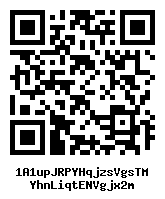 Use this QR code or key for your WETRUST cryptocurrency donation. 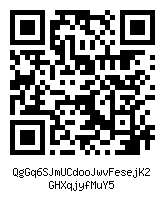 Use this QR code or key for your WHITECOIN cryptocurrency donation. 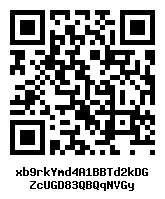 Use this QR code or key for your WI COIN cryptocurrency donation. 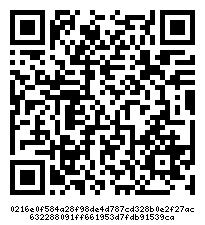 Use this QR code or key for your WILDCRYPTO cryptocurrency donation. 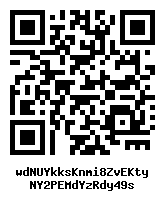 Use this QR code or key for your WINCOIN cryptocurrency donation. 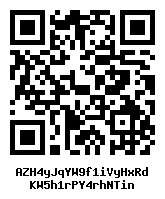 Use this QR code or key for your WINGS cryptocurrency donation. 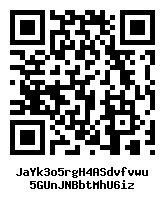 Use this QR code or key for your WORLDCOIN cryptocurrency donation. 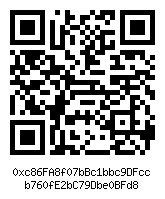 Use this QR code or key for your WORLDCORE cryptocurrency donation. 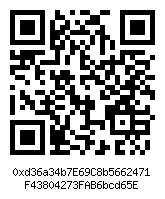 Use this QR code or key for your XAURUM cryptocurrency donation. 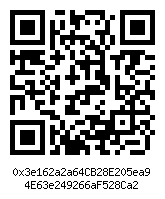 Use this QR code or key for your XENON cryptocurrency donation. 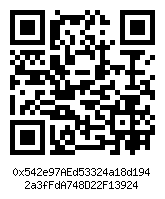 Use this QR code or key for your XP cryptocurrency donation. 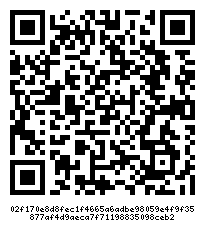 Use this QR code or key for your XPA cryptocurrency donation. 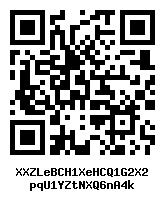 Use this QR code or key for your XUEZ cryptocurrency donation. 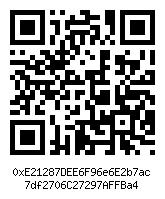 Use this QR code or key for your YEE cryptocurrency donation. 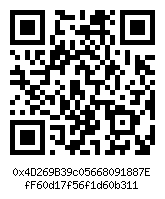 Use this QR code or key for your YENTEN cryptocurrency donation. 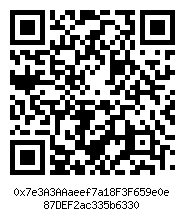 Use this QR code or key for your ZAP cryptocurrency donation. 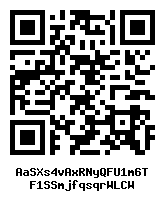 Use this QR code or key for your ZCASH cryptocurrency donation. 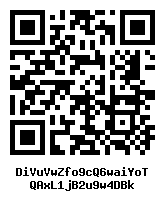 Use this QR code or key for your ZCASH GOLD cryptocurrency donation. 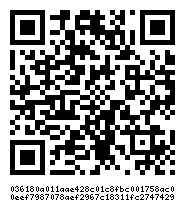 Use this QR code or key for your ZCLASSIC cryptocurrency donation. 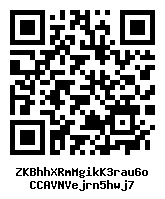 Use this QR code or key for your ZCOIN cryptocurrency donation. 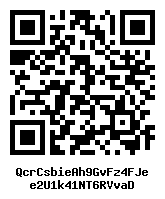 Use this QR code or key for your ZENCASH cryptocurrency donation. 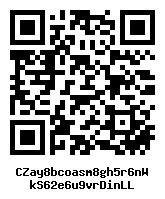 Use this QR code or key for your ZETACOIN cryptocurrency donation. 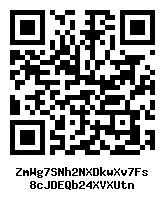 Use this QR code or key for your ZEUSSHIELD cryptocurrency donation. 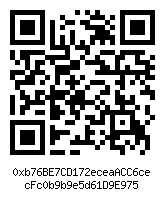 Use this QR code or key for your ZILLA cryptocurrency donation. 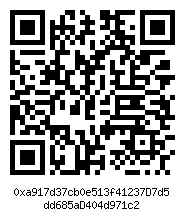 Use this QR code or key for your ZILLIQA cryptocurrency donation.